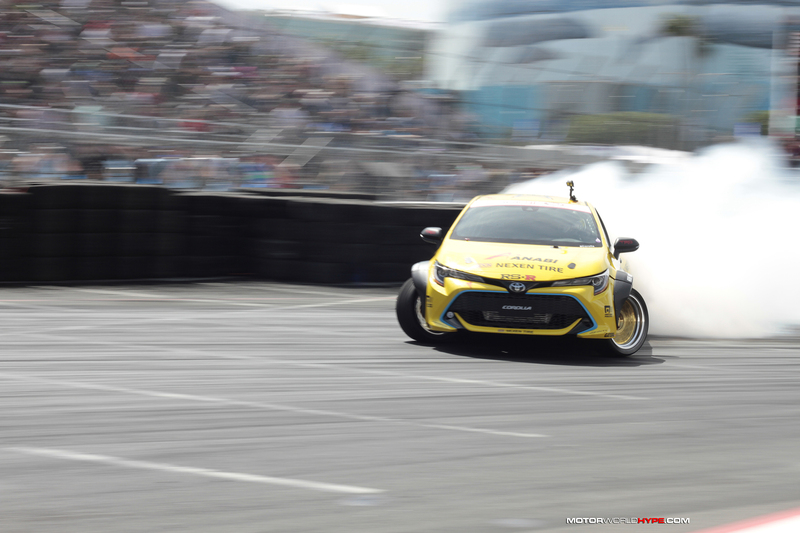 The first round of the 2018 Formula Drift championship is in the books and the first win of the season has officially gone to Fredric Aasbo and his new Toyota Corolla drift car. 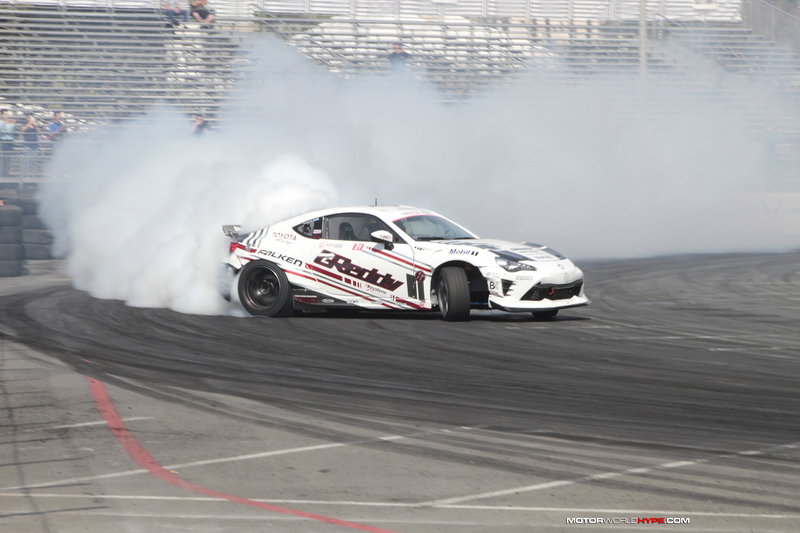 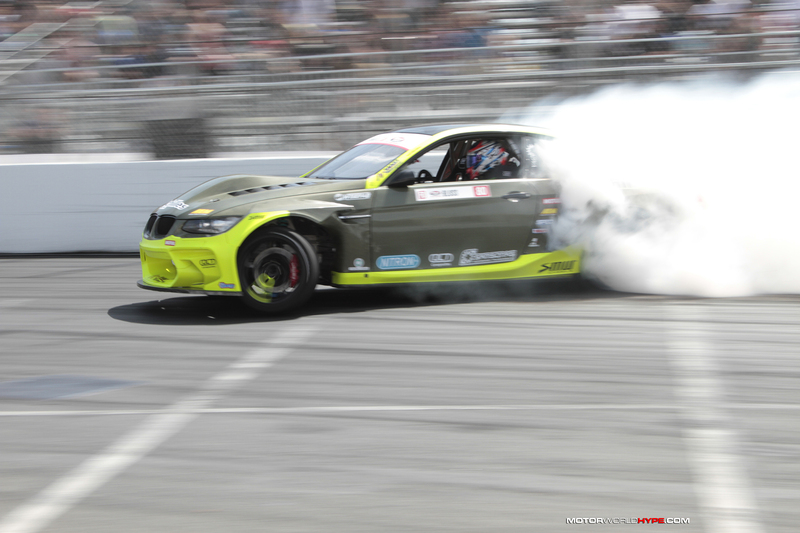 Forrest Wang, who returned to Formula Drift after taking a hiatus in 2017 captured second place and third went to 2017 Irwindale winner Piotr Wiecek. 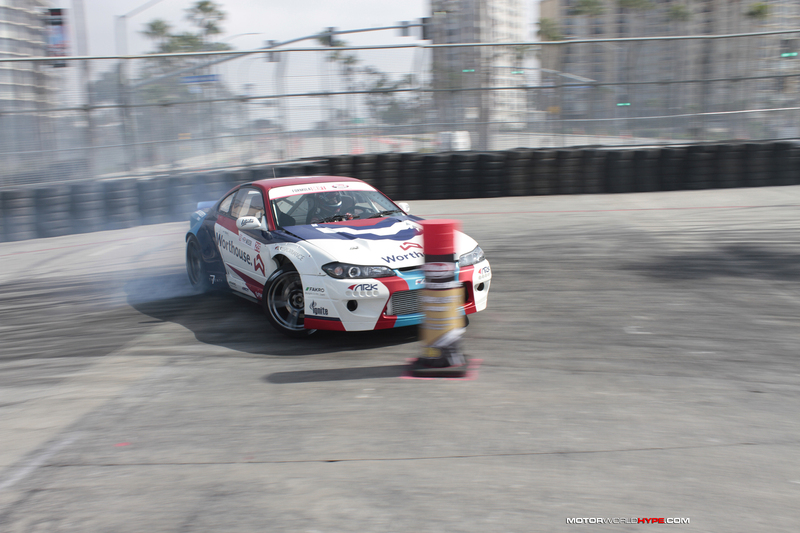 This is a podium that I would have never expected. 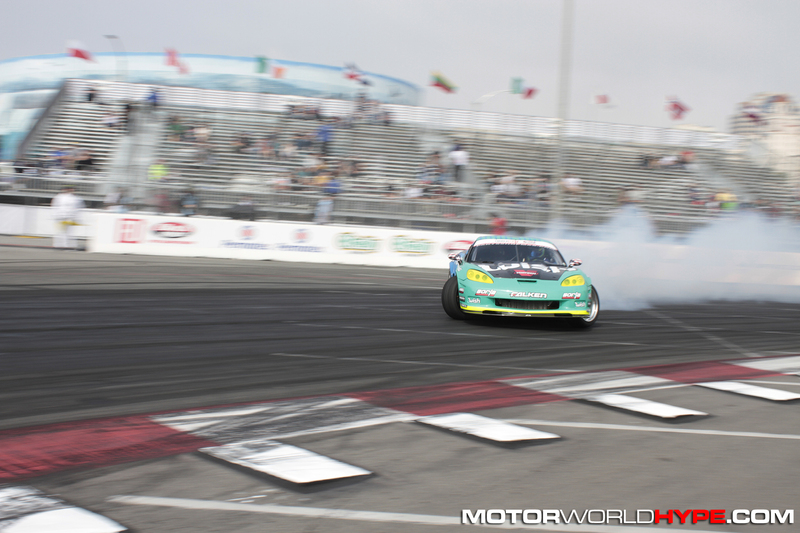 Going into the weekend I predicted that James Deane would win again in Long Beach just as he did last year and that Matt Field with his new Corvette would make the podium. 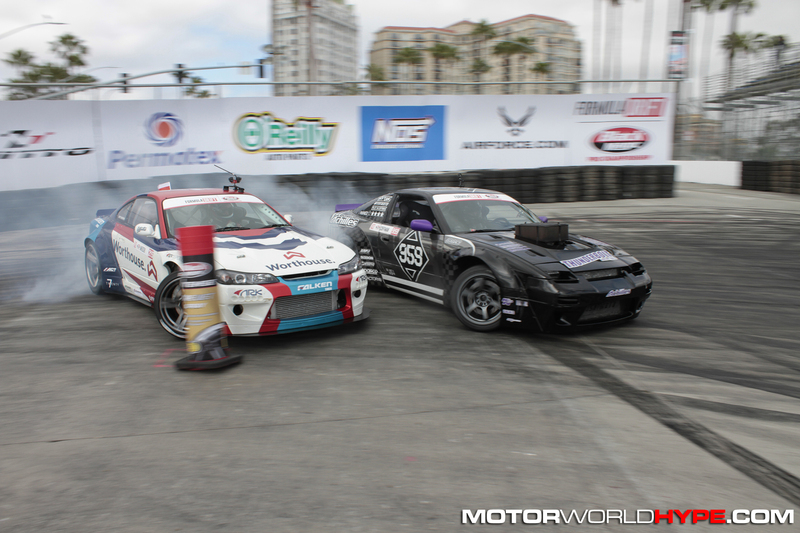 Though due some crazy upsets and happenstances during the tandem battles, things were shaken up quite a bit. 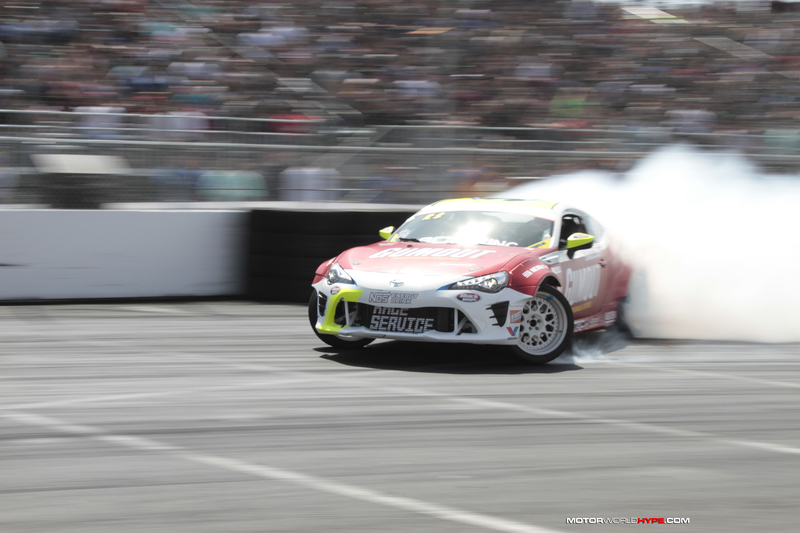 Aasbo qualified 5th and faced rookie Matt Vankirk in Top 32 and Kristaps Bluss in Top 16. 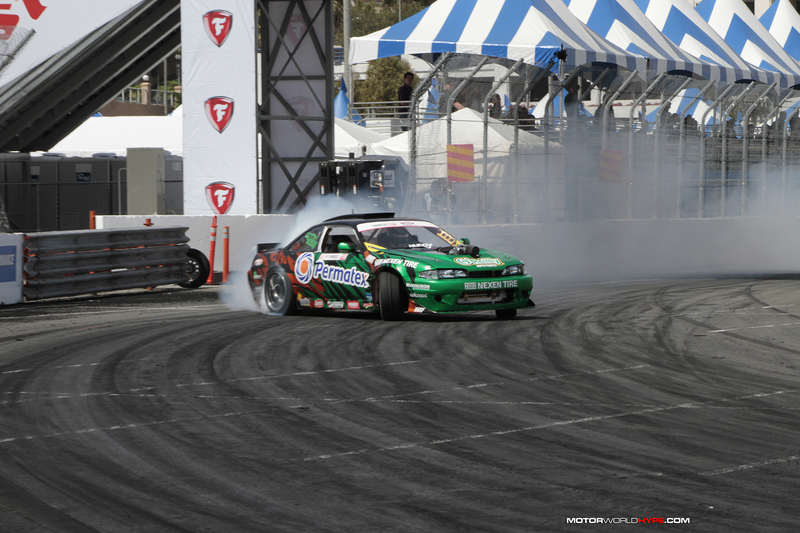 Fredric managed to win both of those battles decidedly. 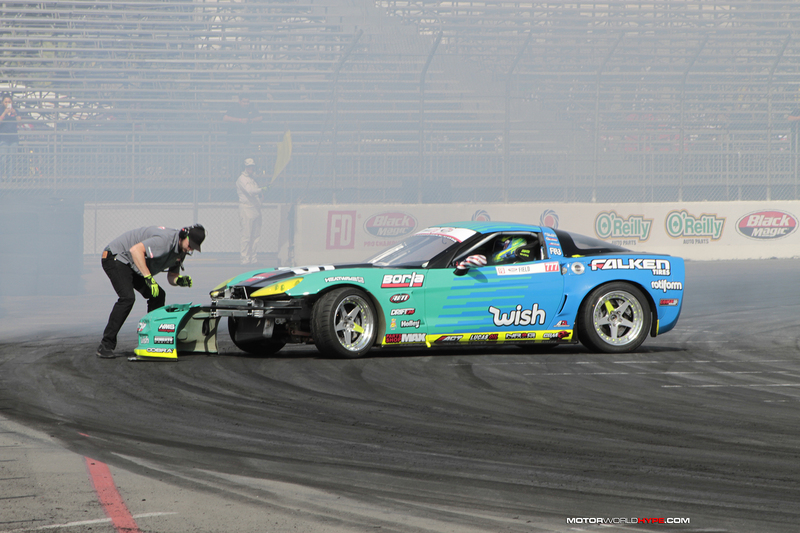 Though in the Great 8 he went up against Justin Pawlak and Justin wasn’t going down without a fight. 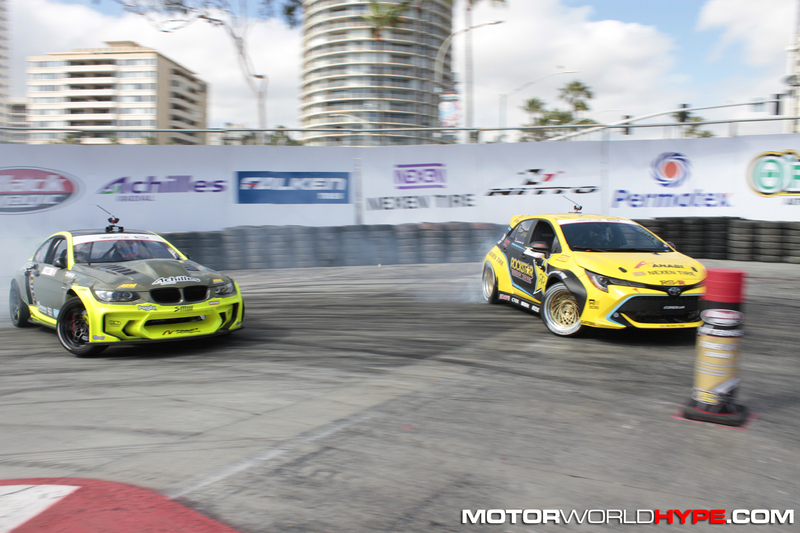 They’re battle went to a OMT (one more time) with Aasbo eventually taking the win. 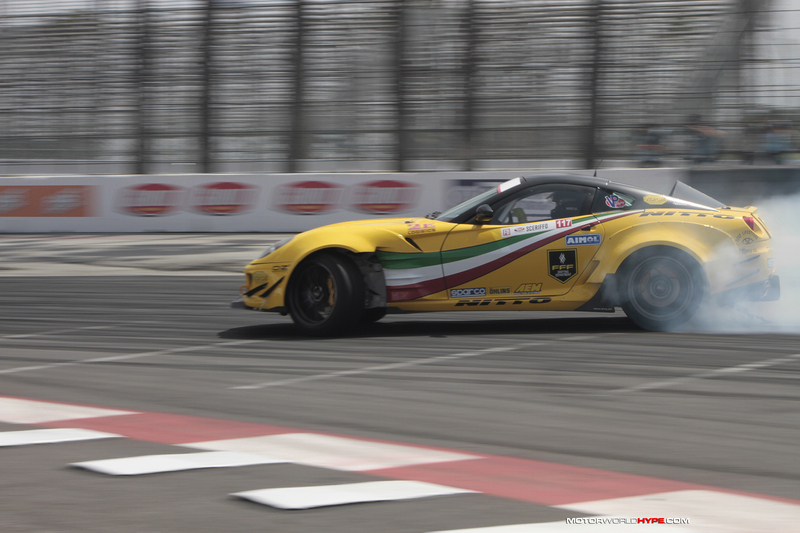 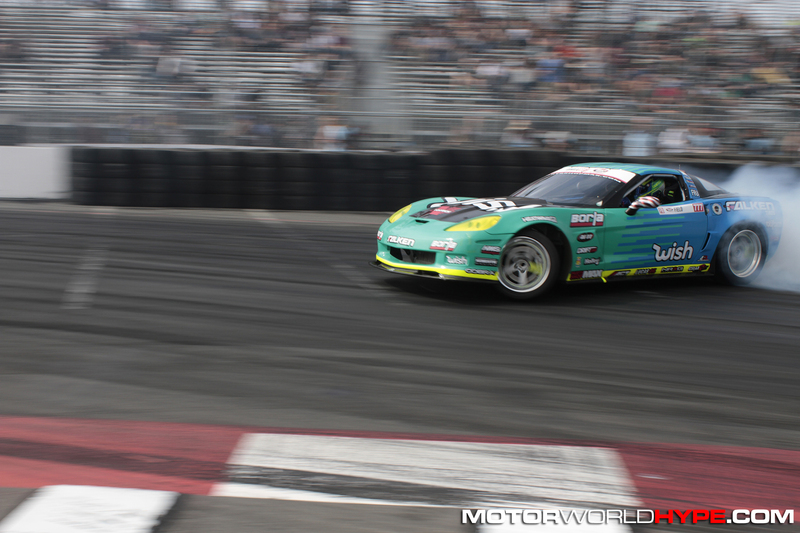 Matt Field was looking great all week in his new Falken Tire-backed Corvette but made some critical errors in his battle against Alec Hohnadell in the Top 16, giving Alec the win. 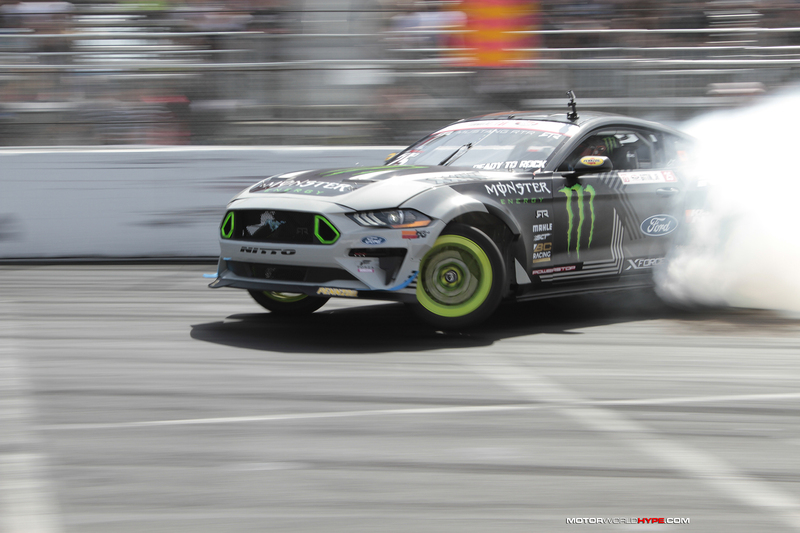 Meanwhile Forrest Wang didn’t seem to lose step after his sabbatical as he defeated Kazuya Taguchi, Vaughn Gittin Jr., and Chris Forsberg to get to the final four. 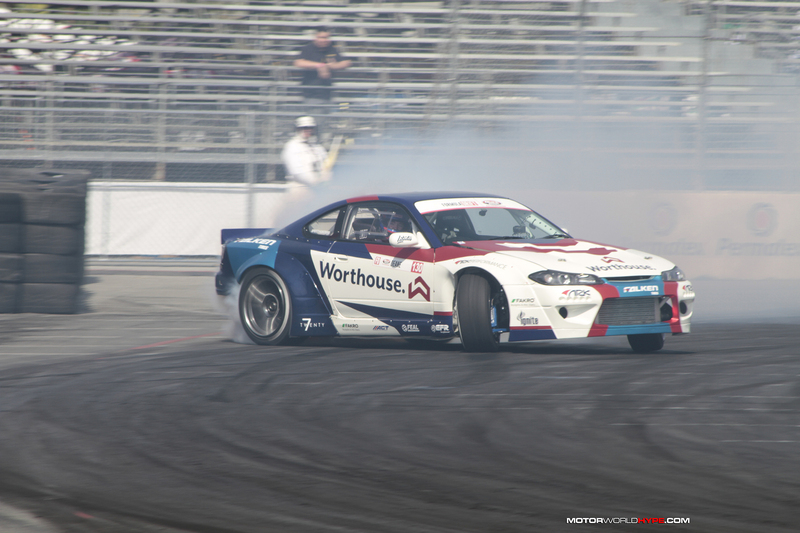 Wang was set to face James Deane who was basically driving perfectly all day but shockingly Deane’s 2JZ-powered S15 had a mechanical issue just before the battle. 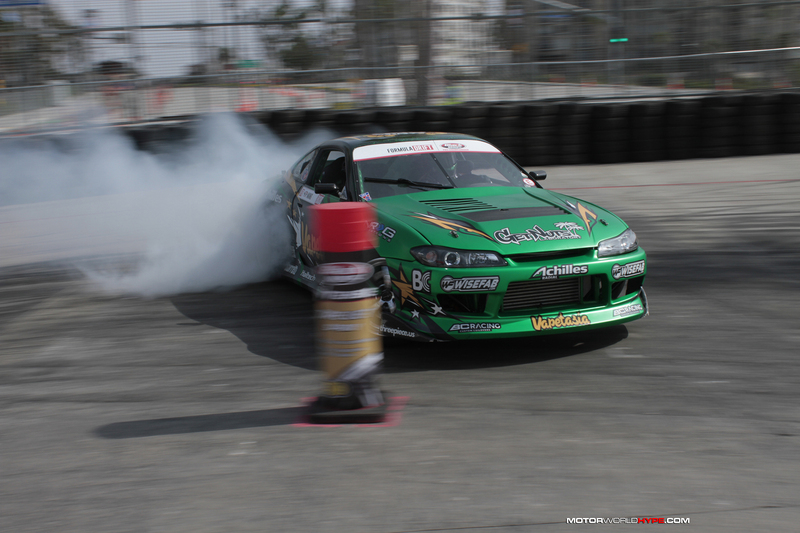 Deane couldn’t line up so Forrest Wang was given the win and a ticket straight to the final battle. 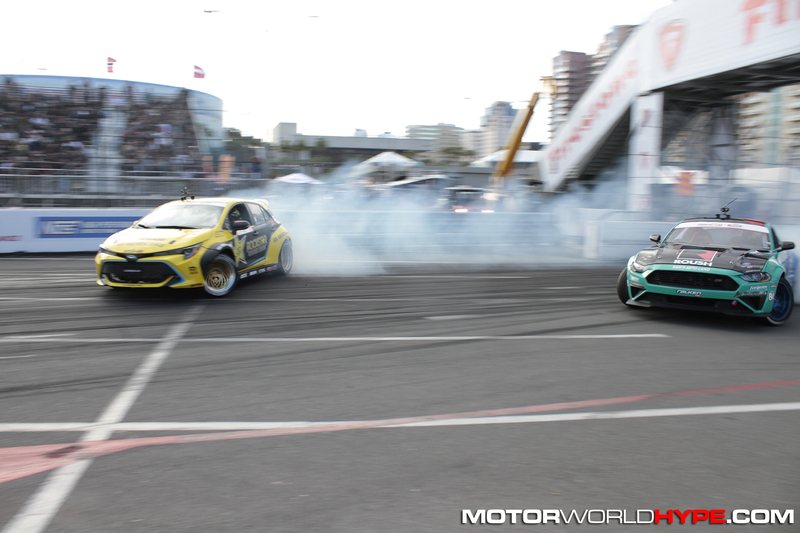 On the other side of the bracket Fredric Aasbo defeated Piotr Wiecek and earned the right to face Forrest Wang in the final battle. 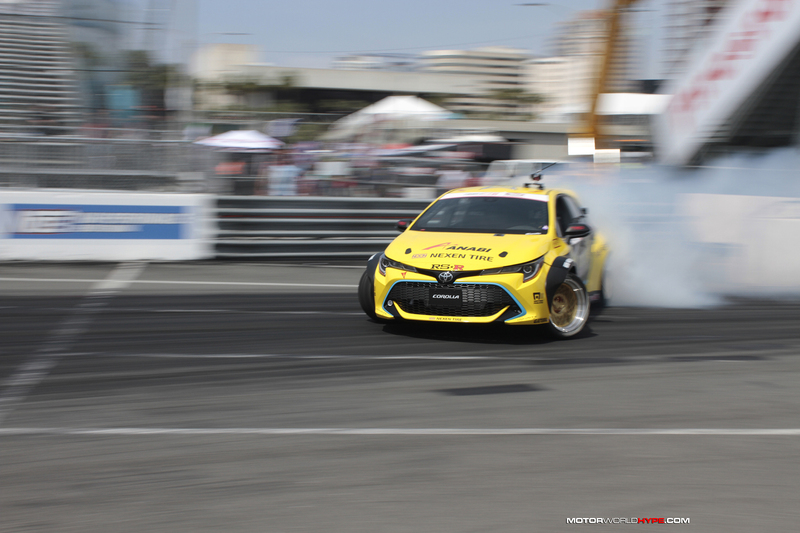 Forrest fought hard and the final battle went into a OMT but during the second run the judges favored Fredric Aasbo giving him the win. 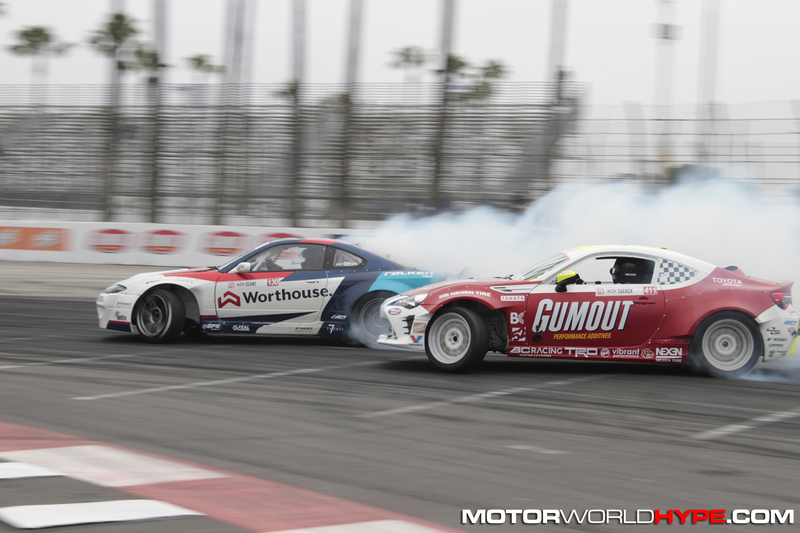 It was a crazy match and that there is even more that went down over the weekend but that will be coming in later posts. 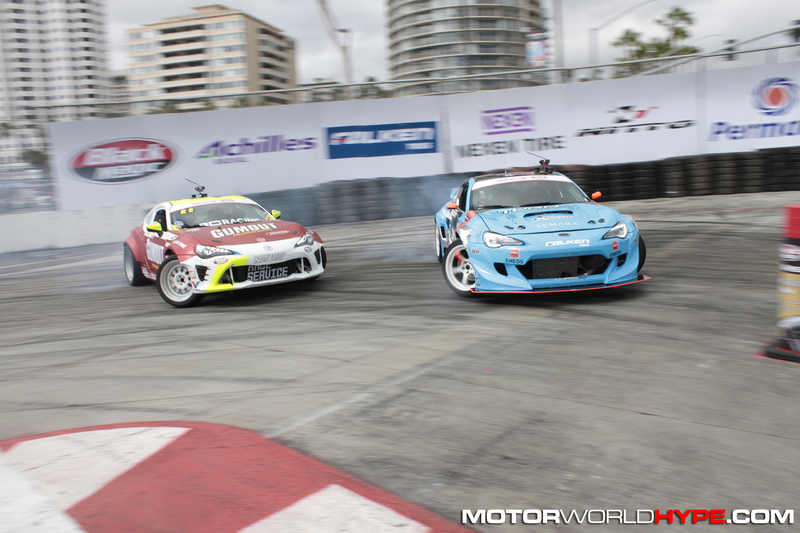 In the meantime, check out our full gallery of all the on track action below. 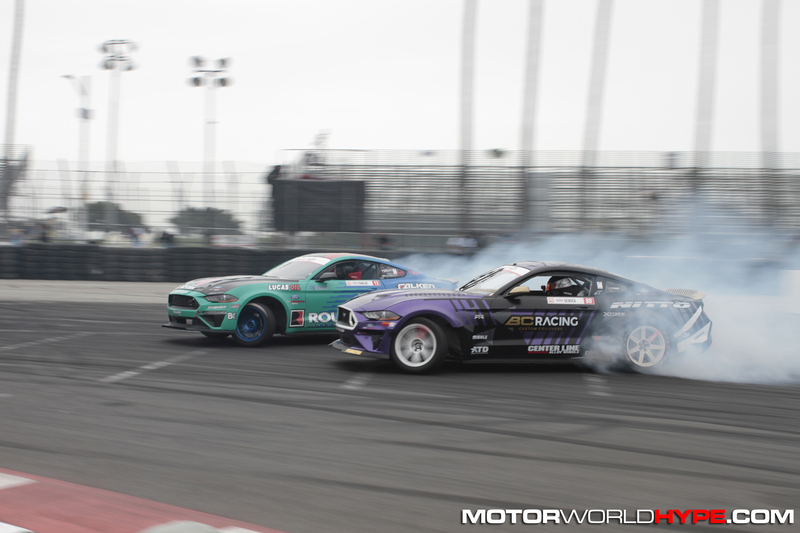 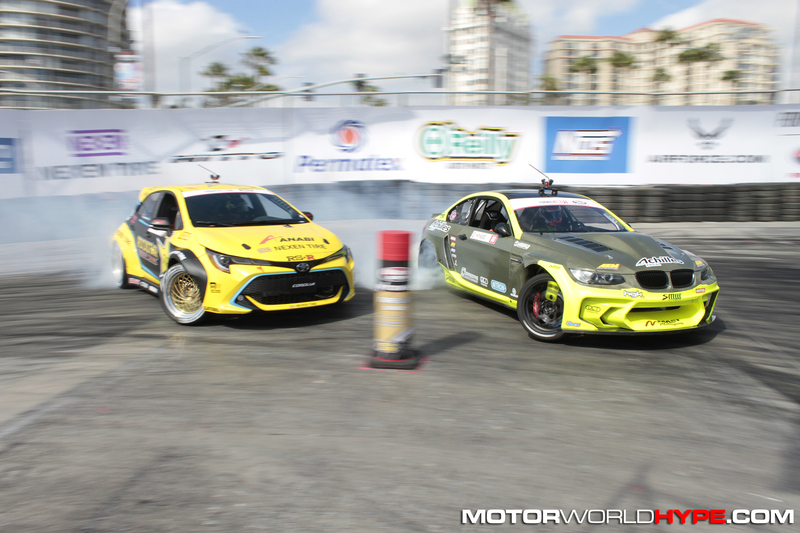 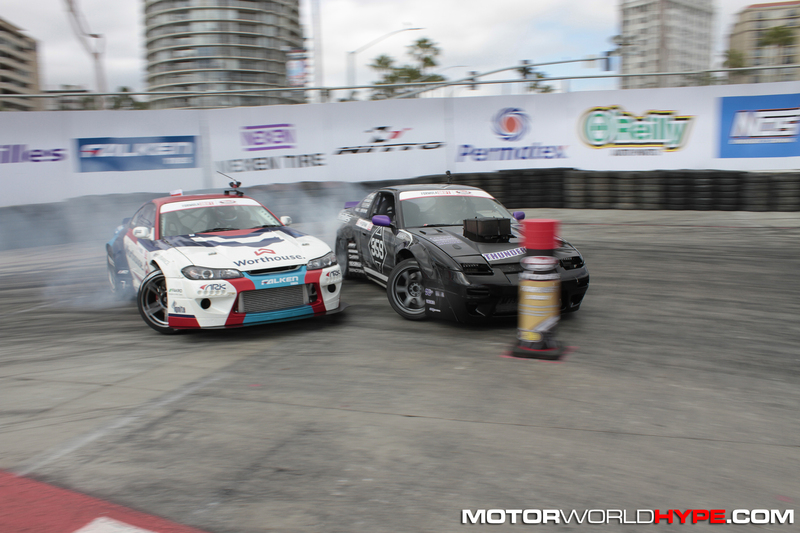 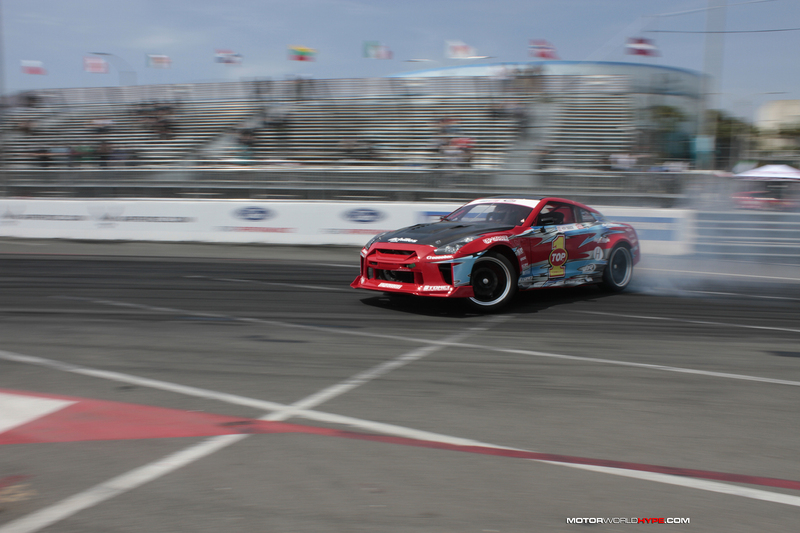 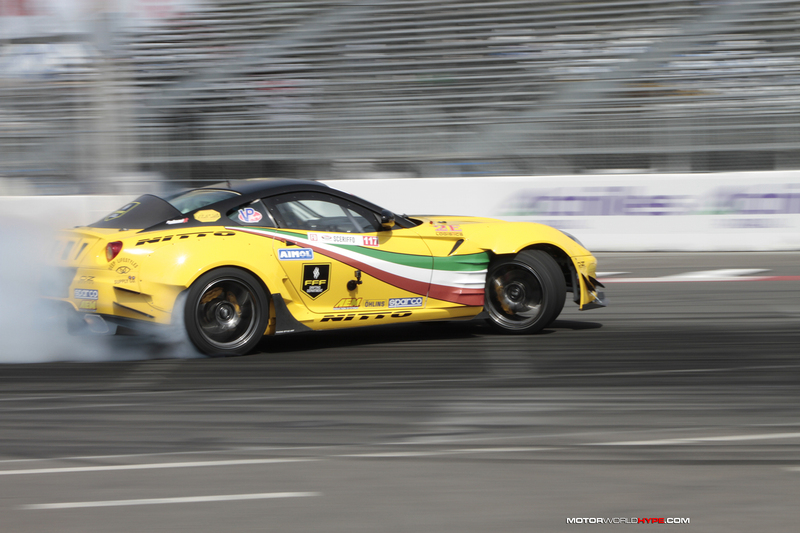 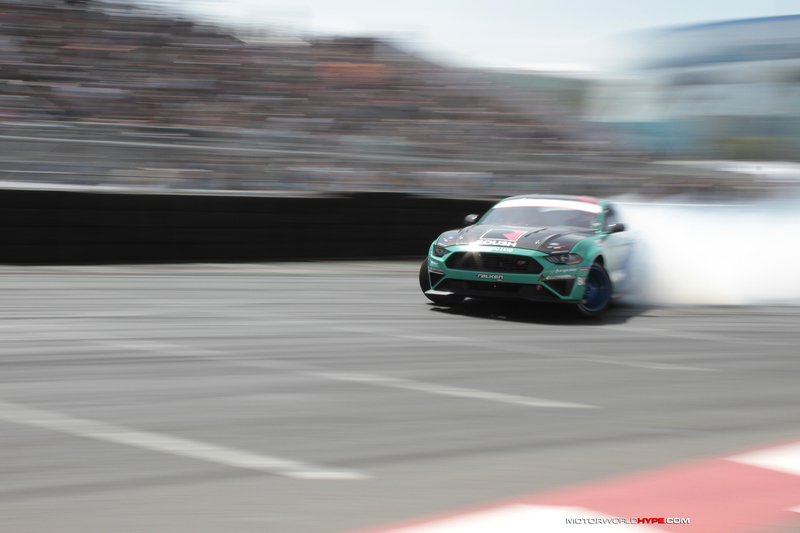 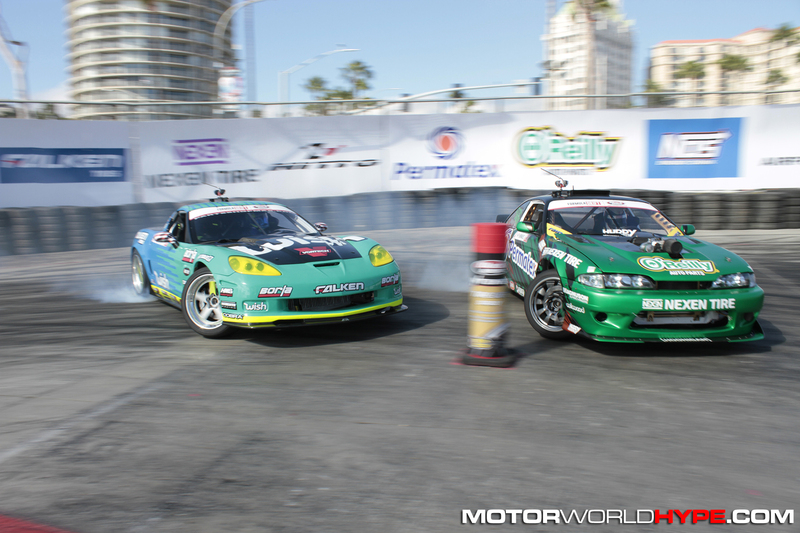 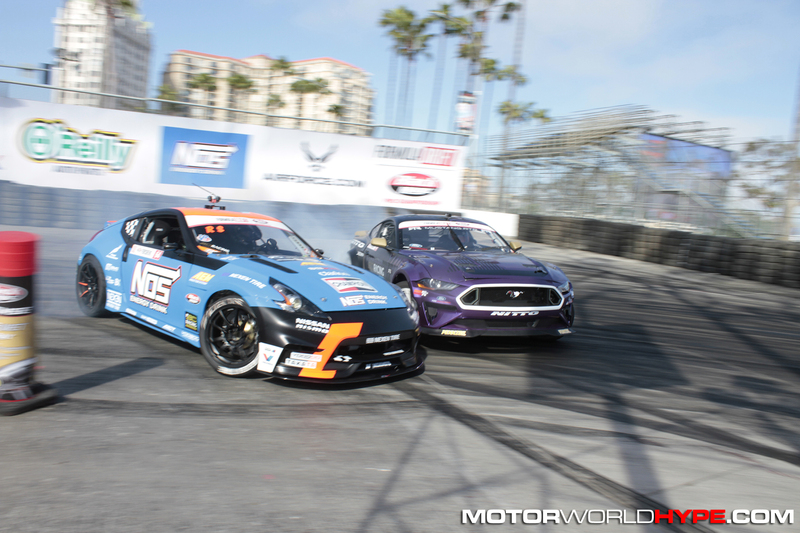 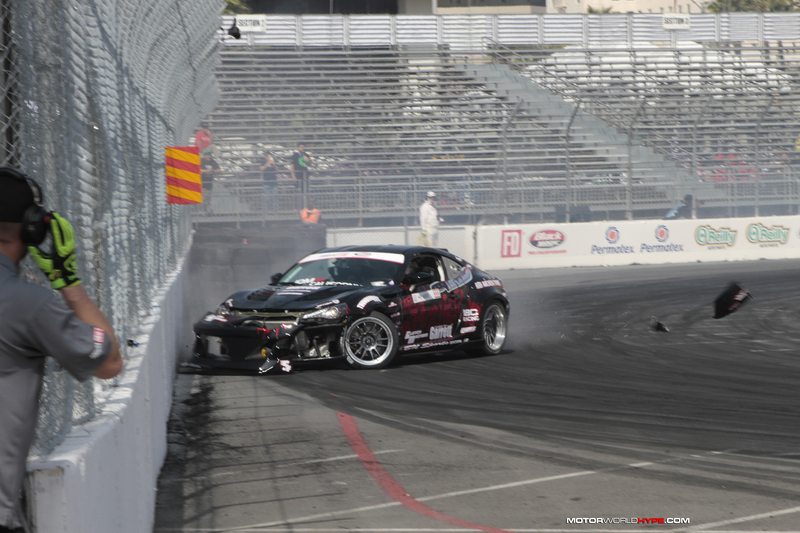 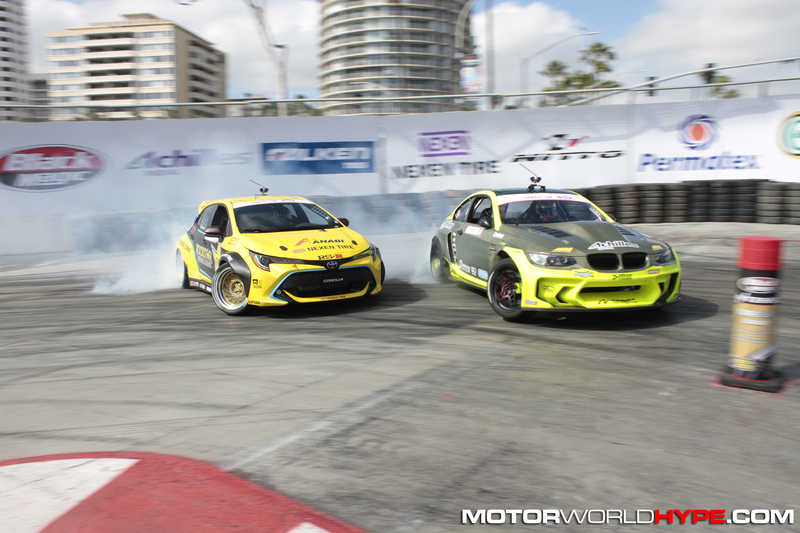 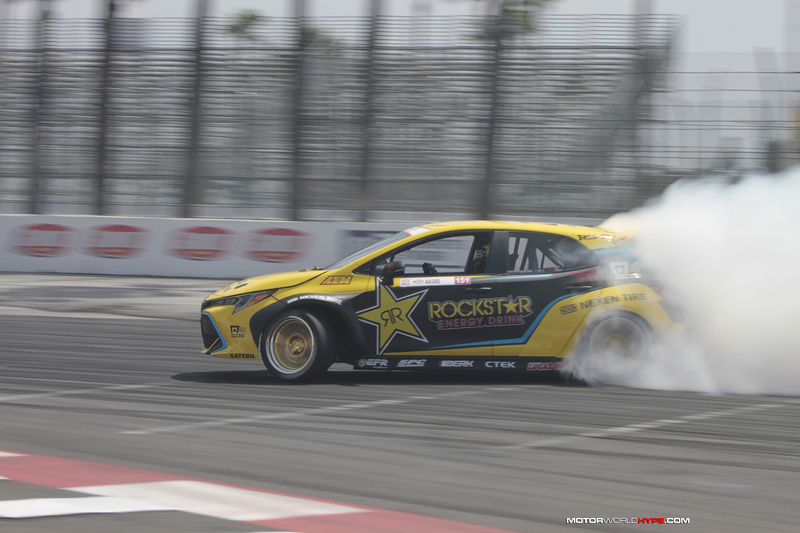 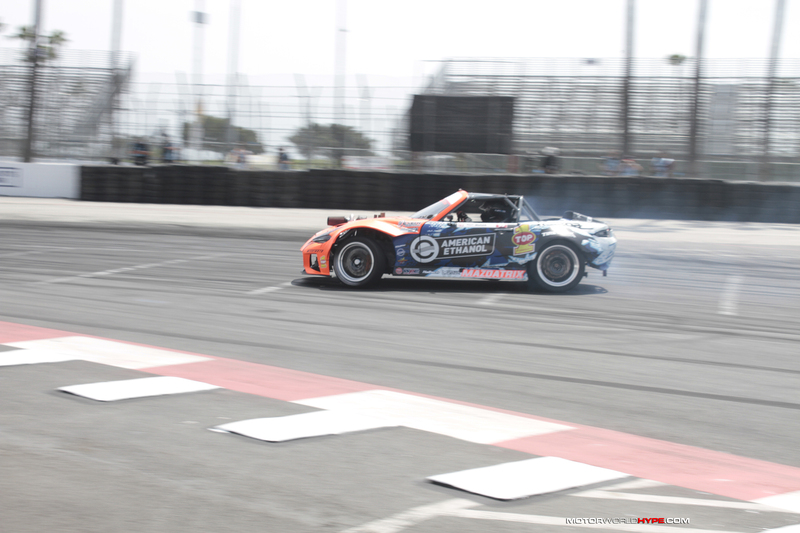 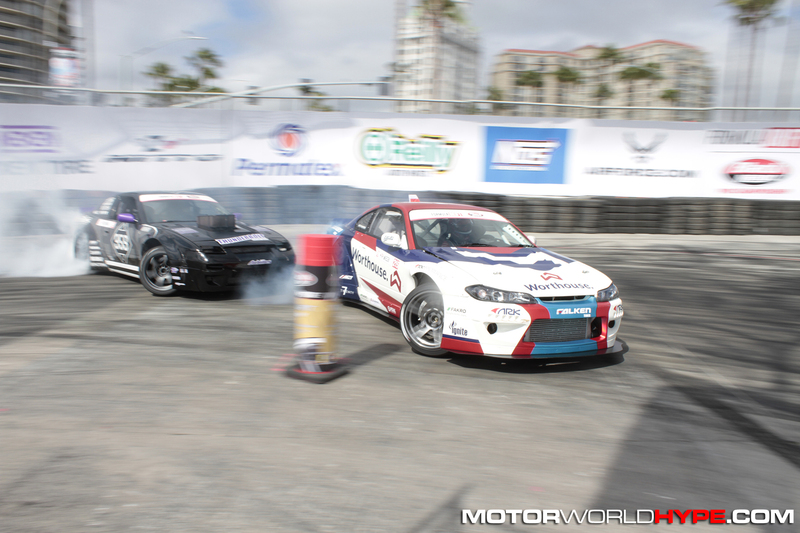 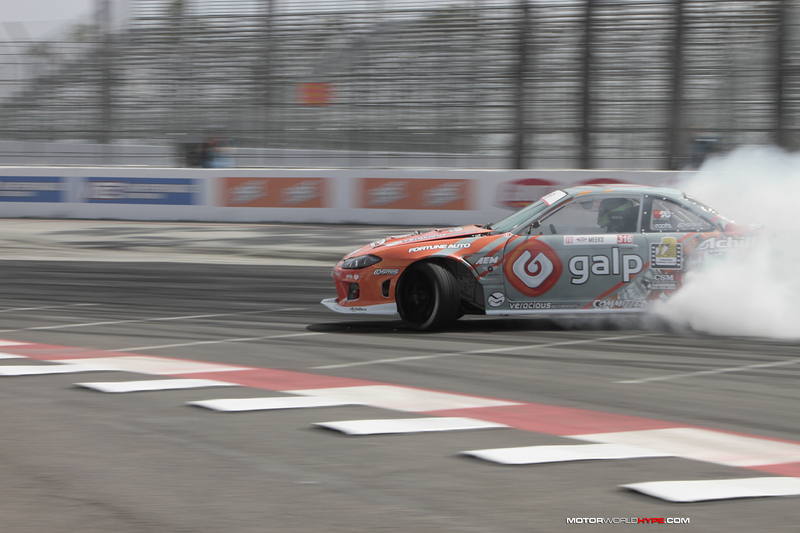 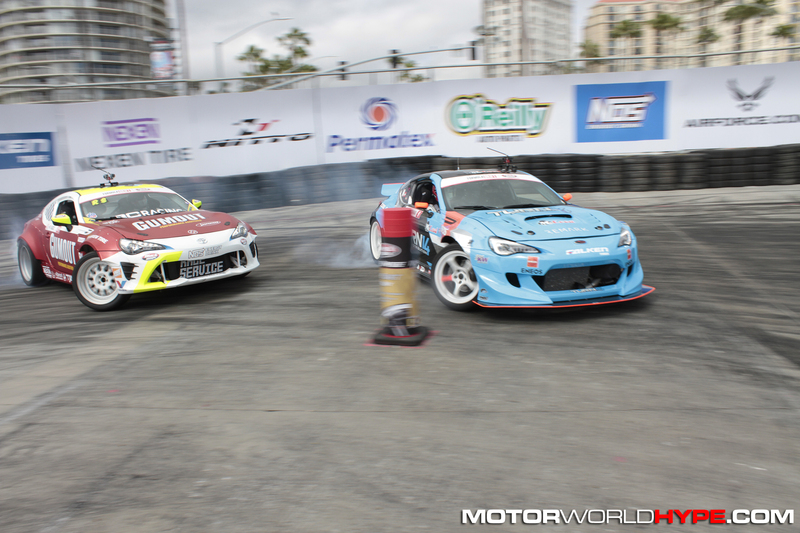 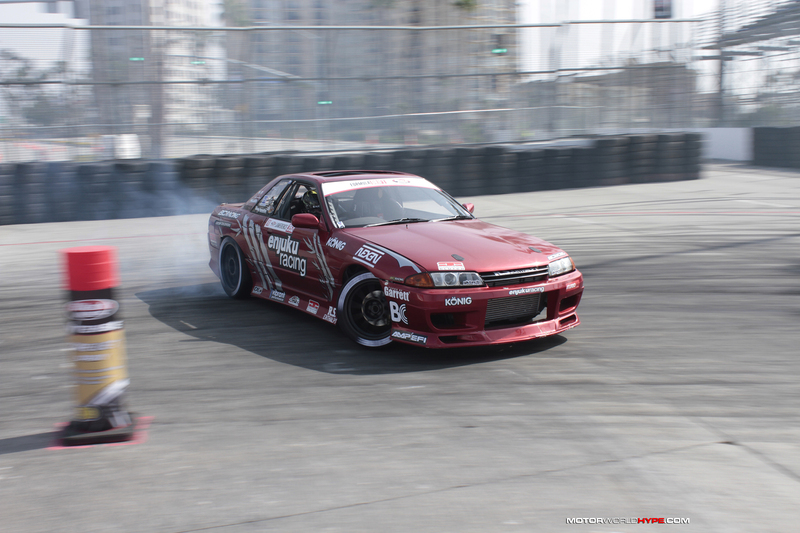 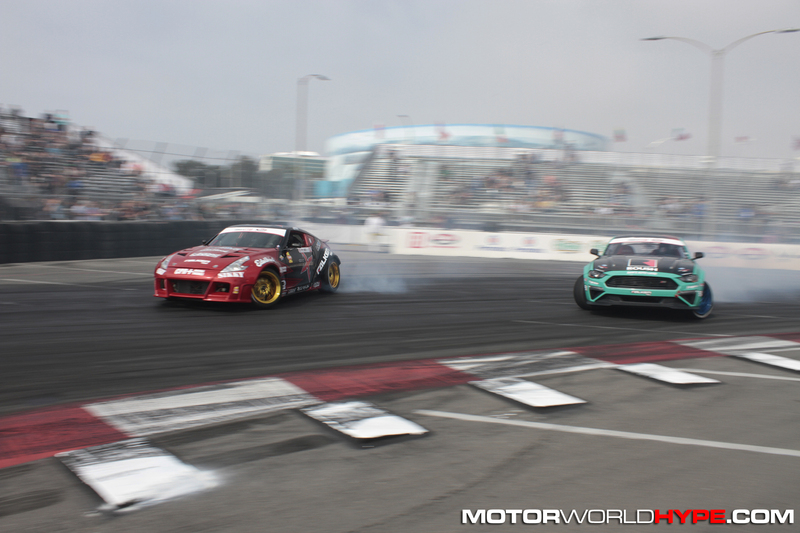 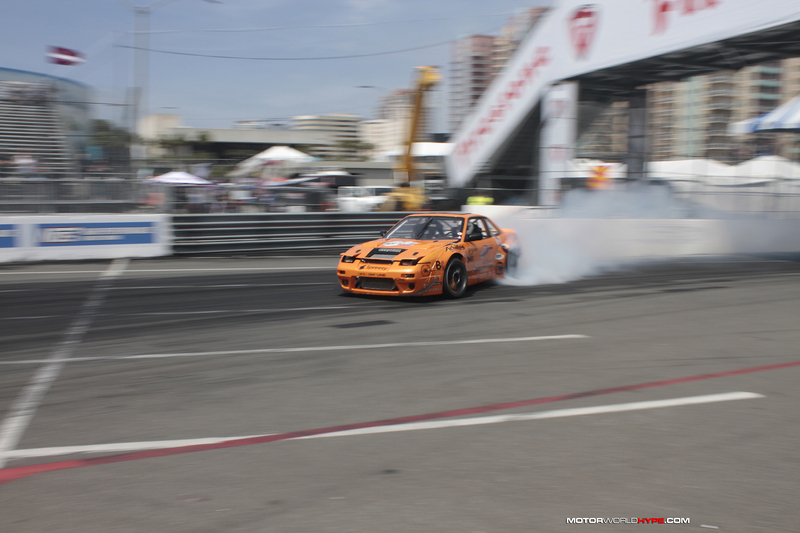 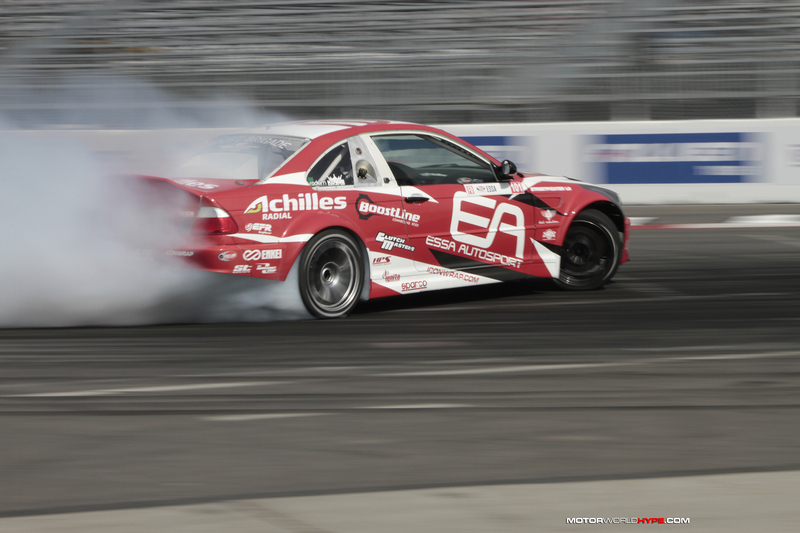 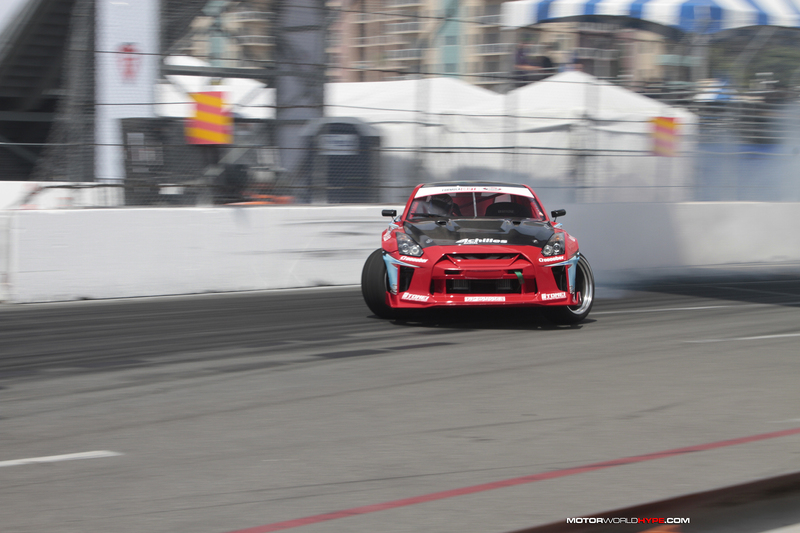 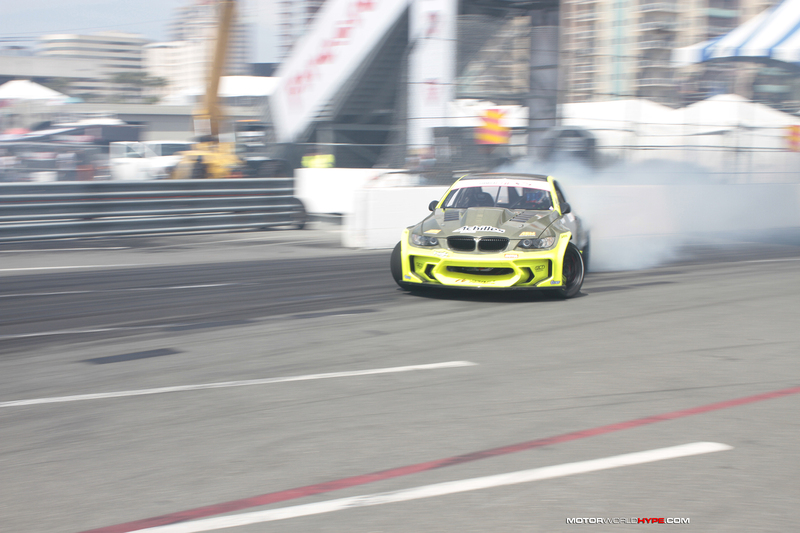 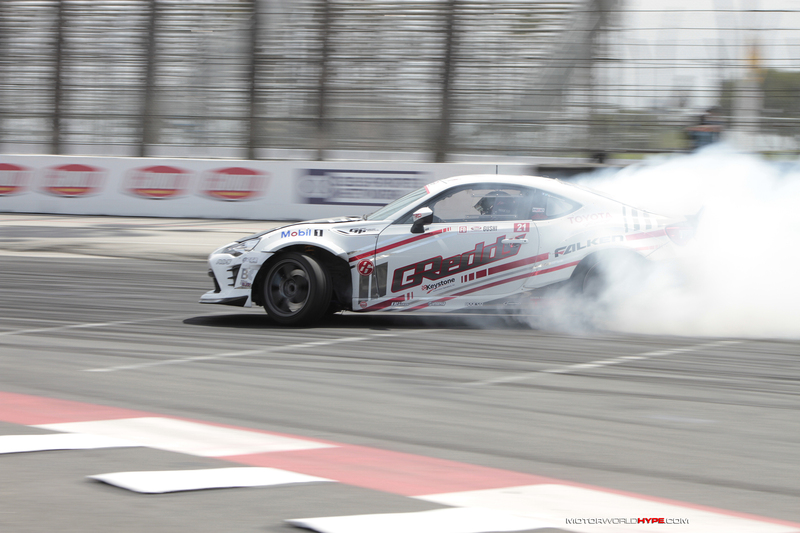 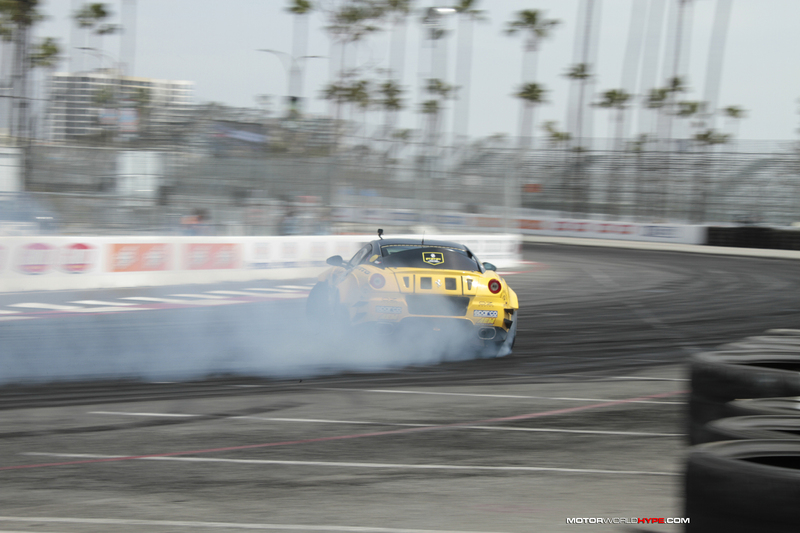 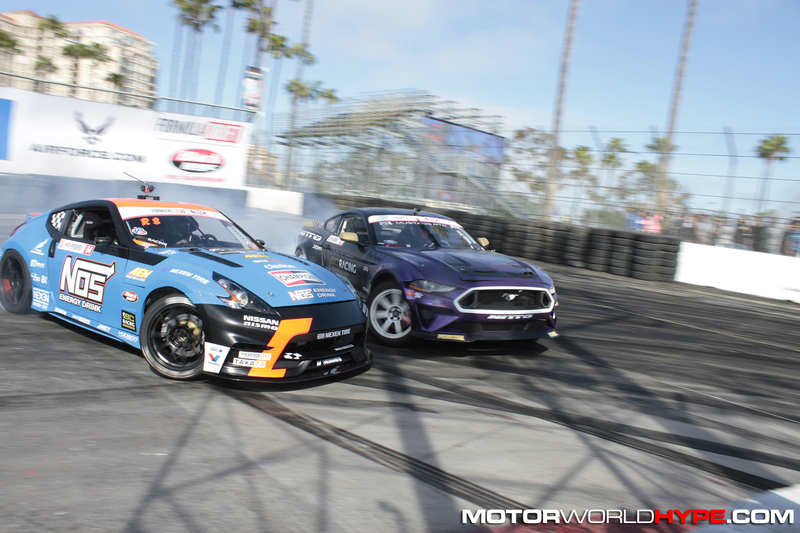 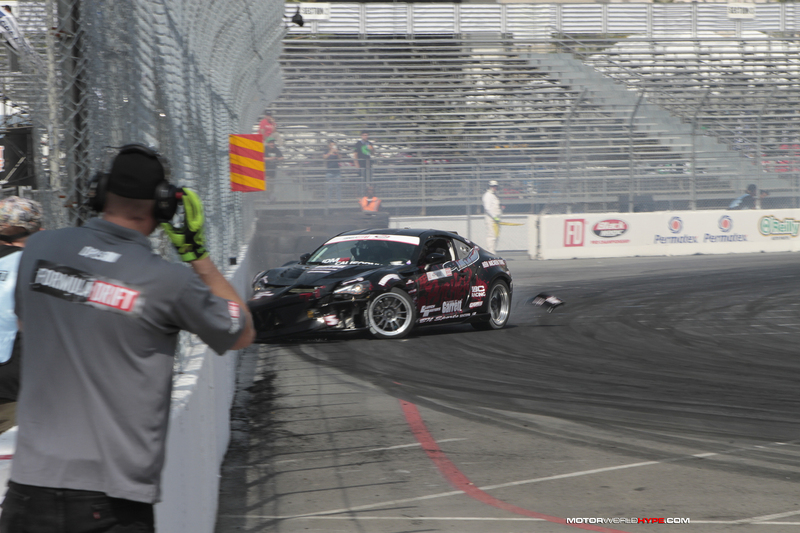 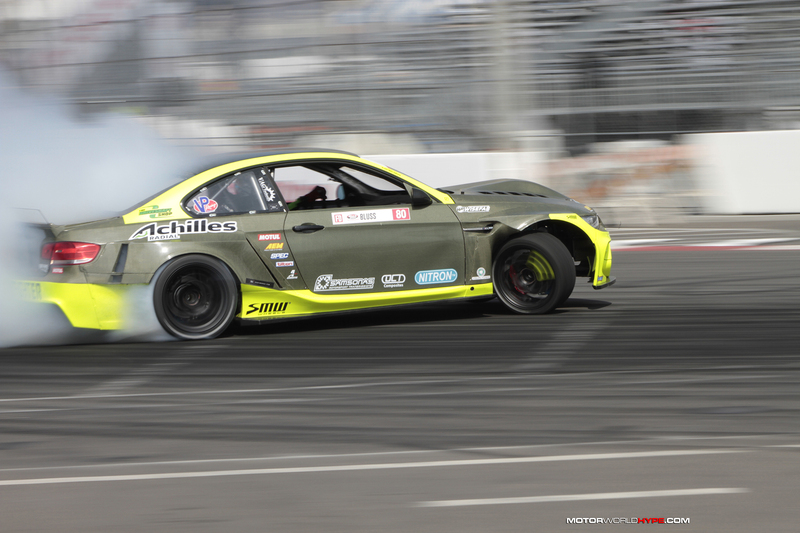 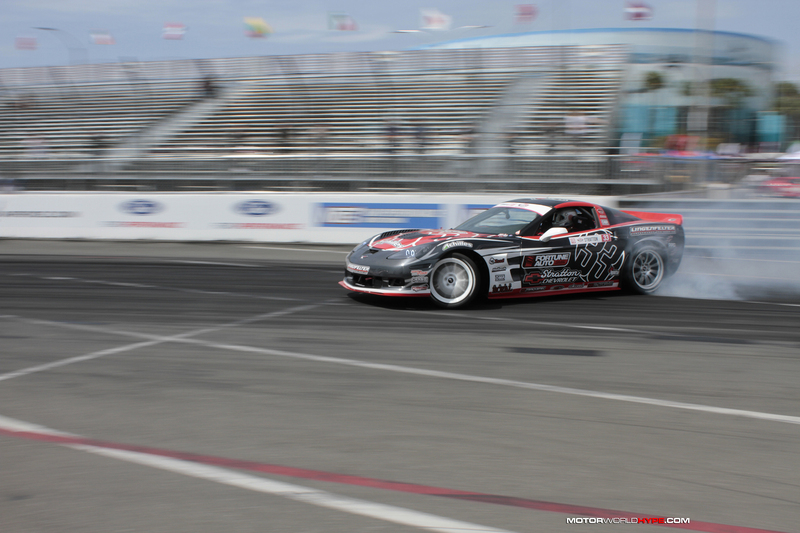 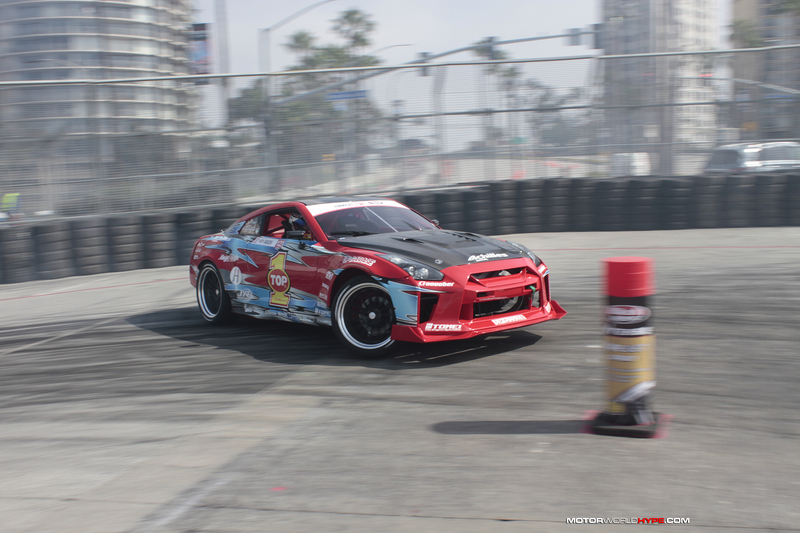 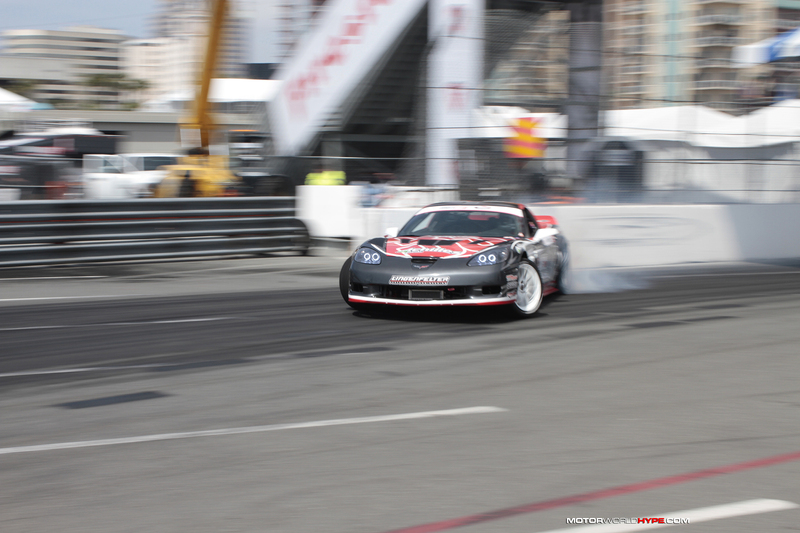 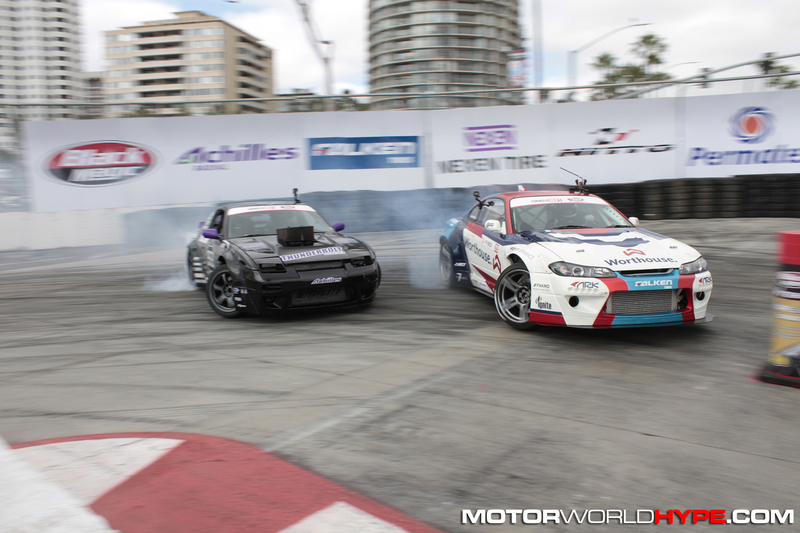 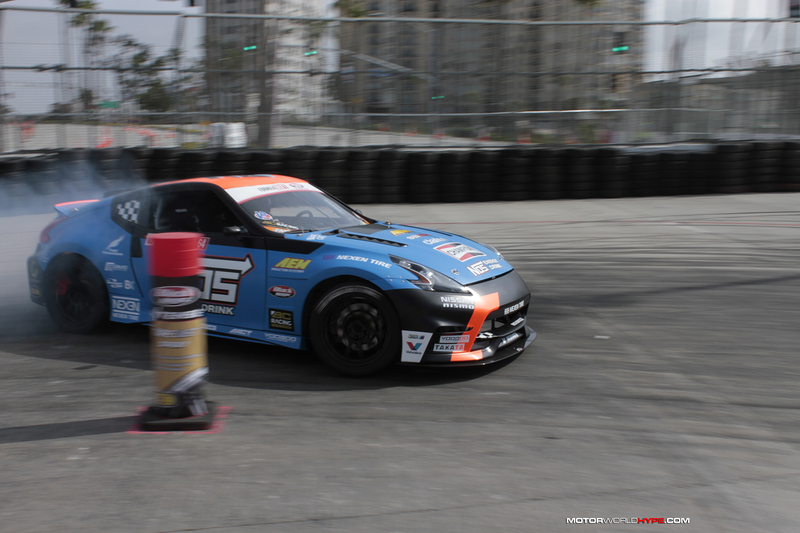 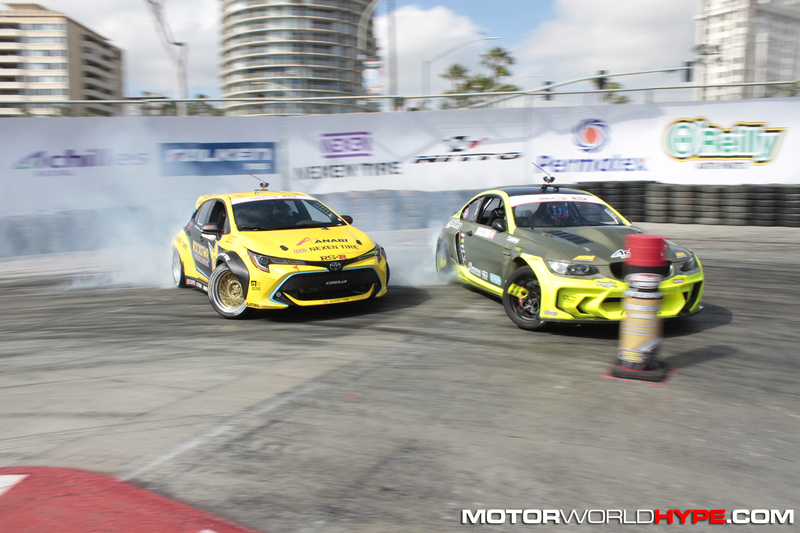 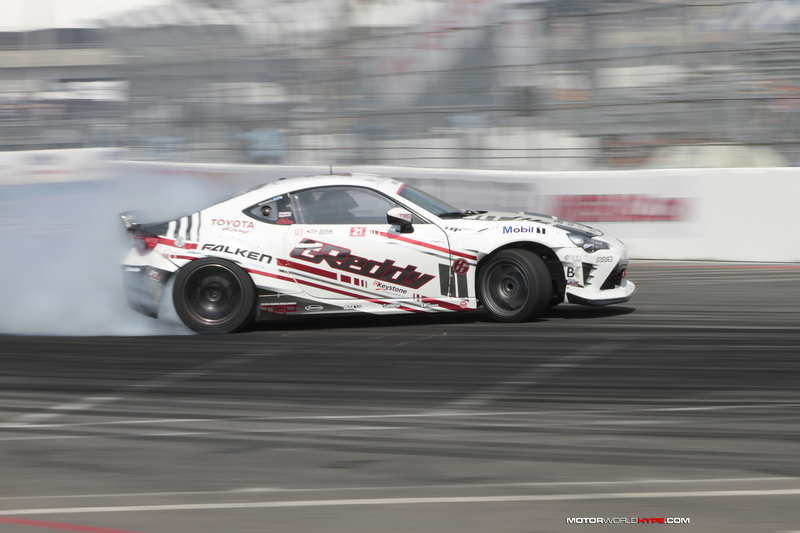 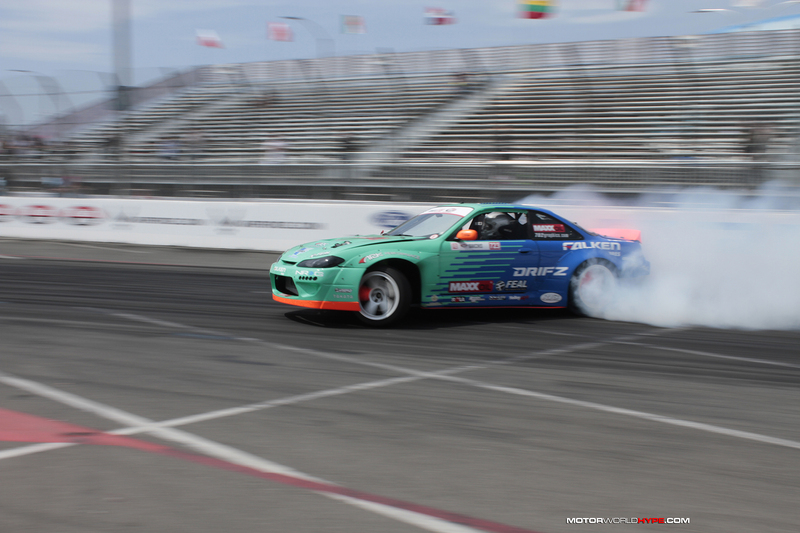 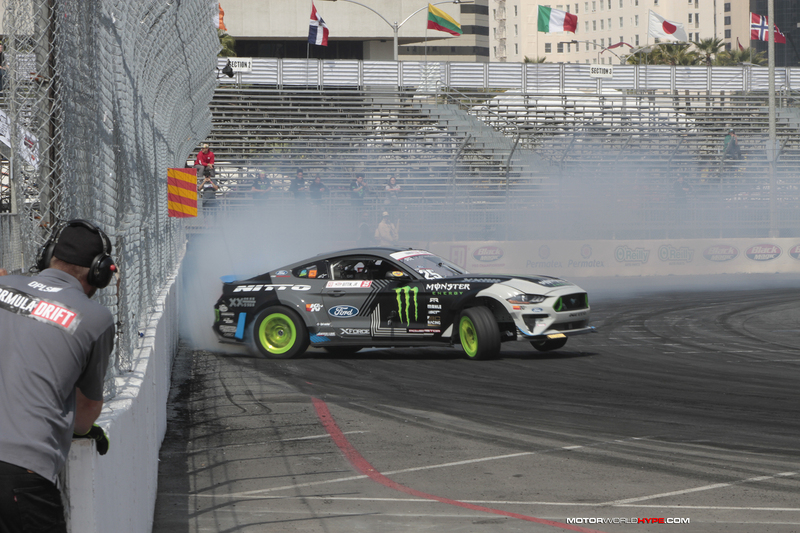 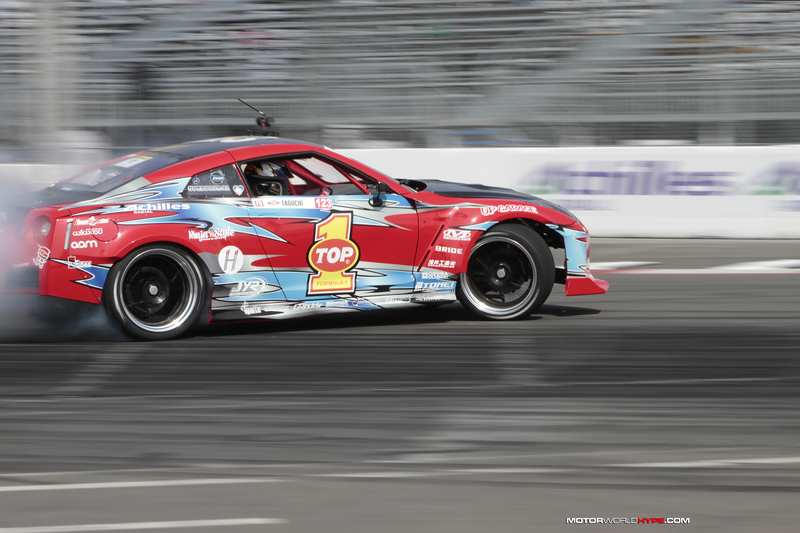 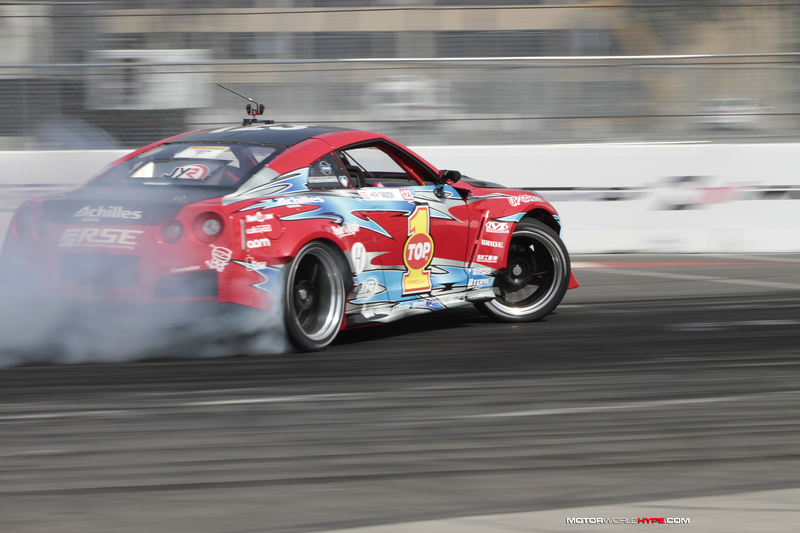 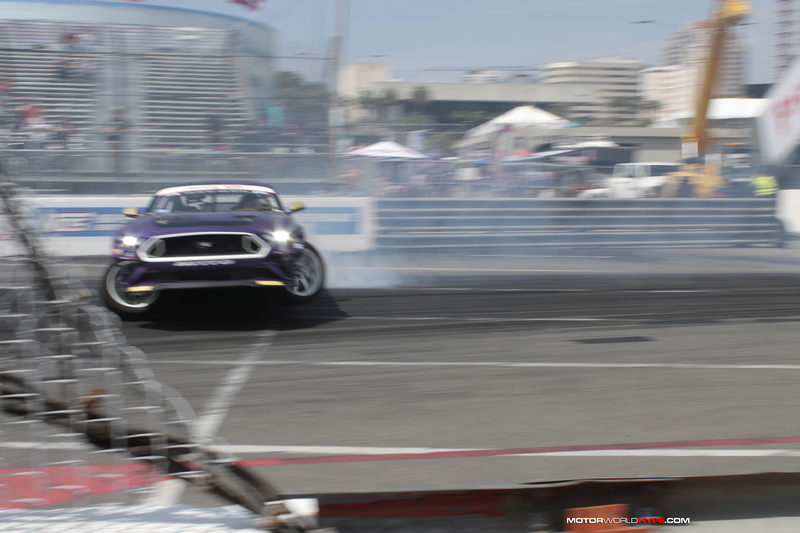 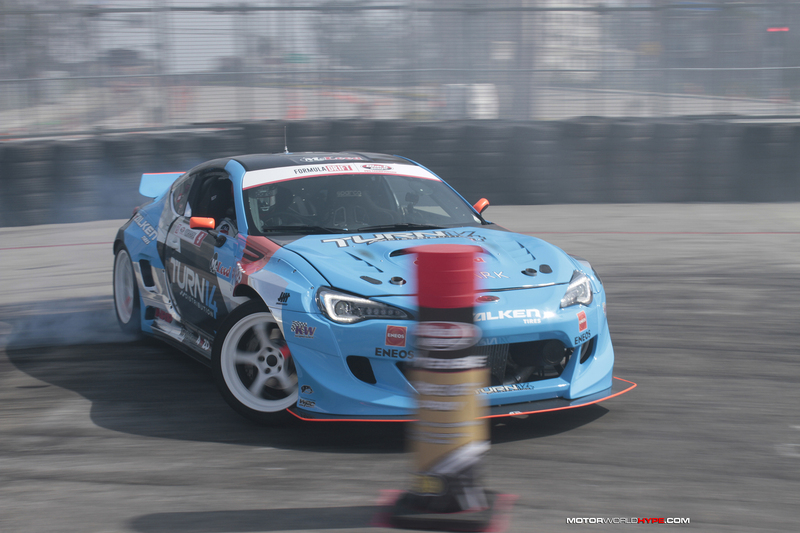 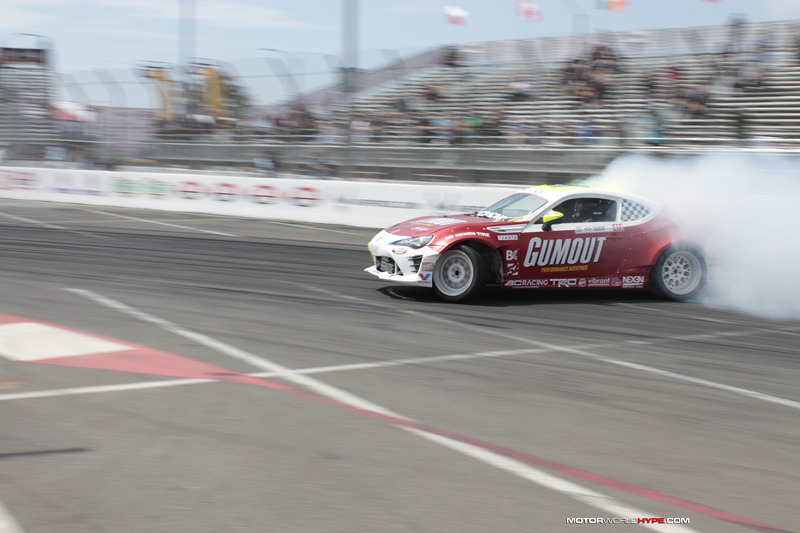 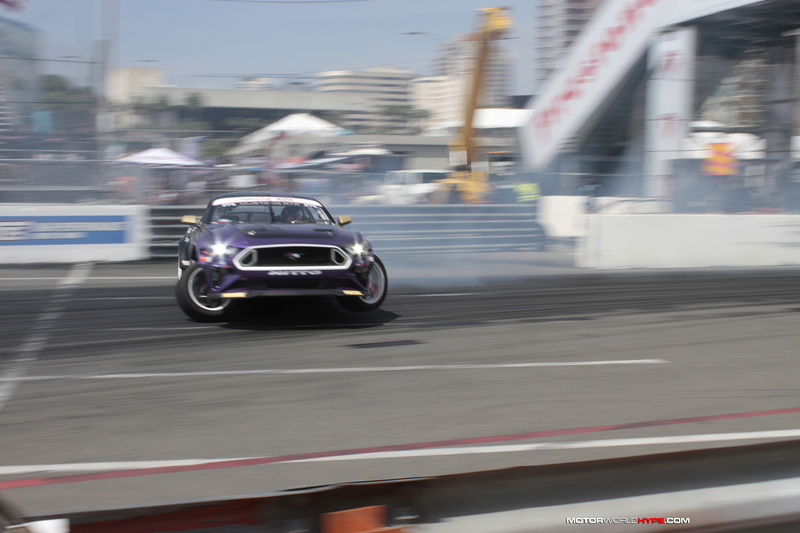 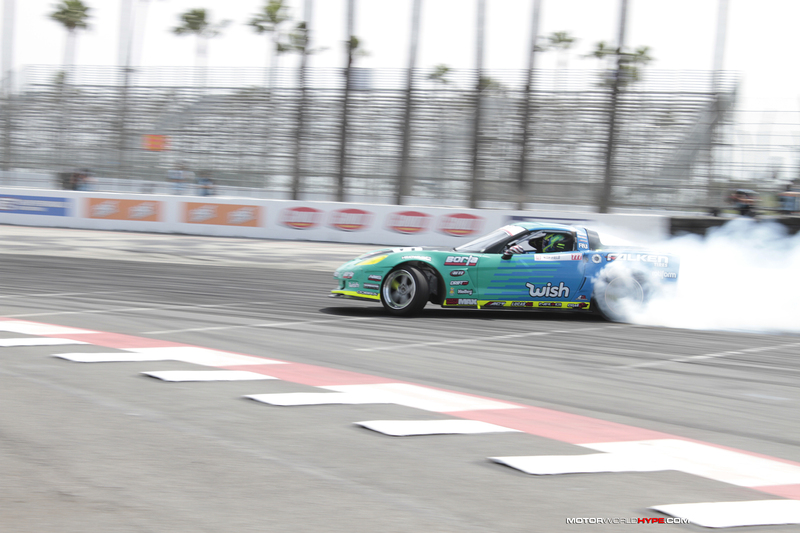 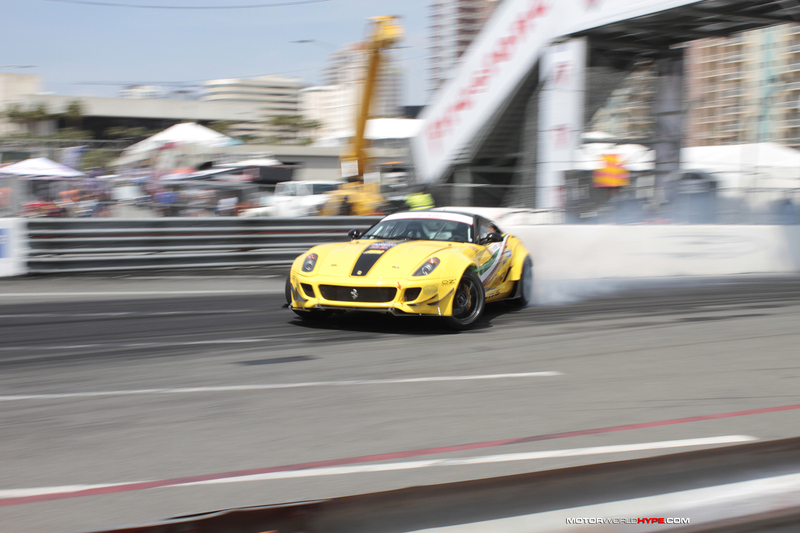 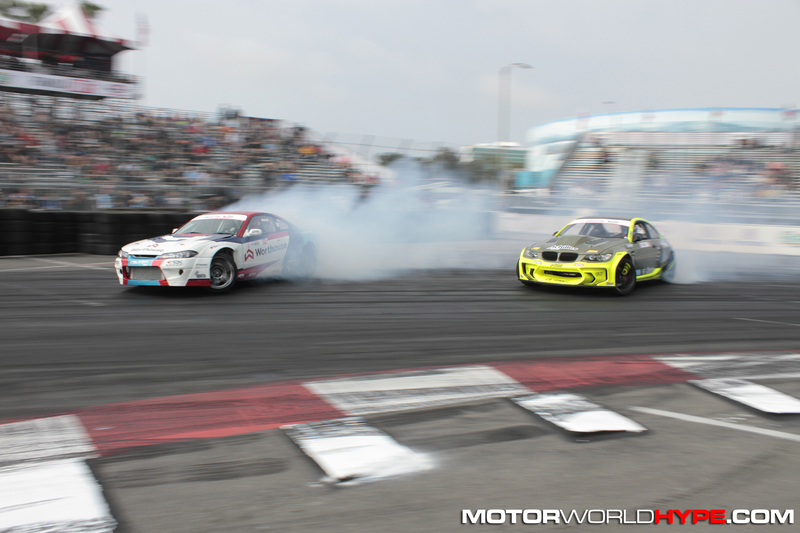 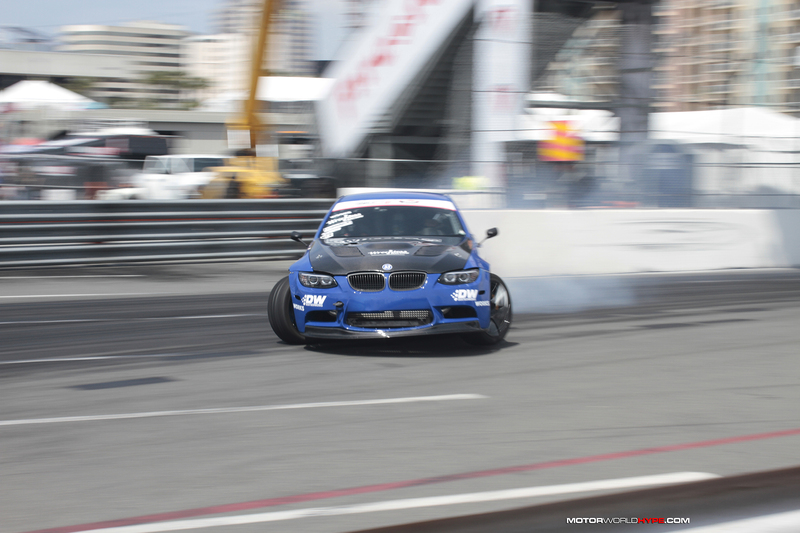 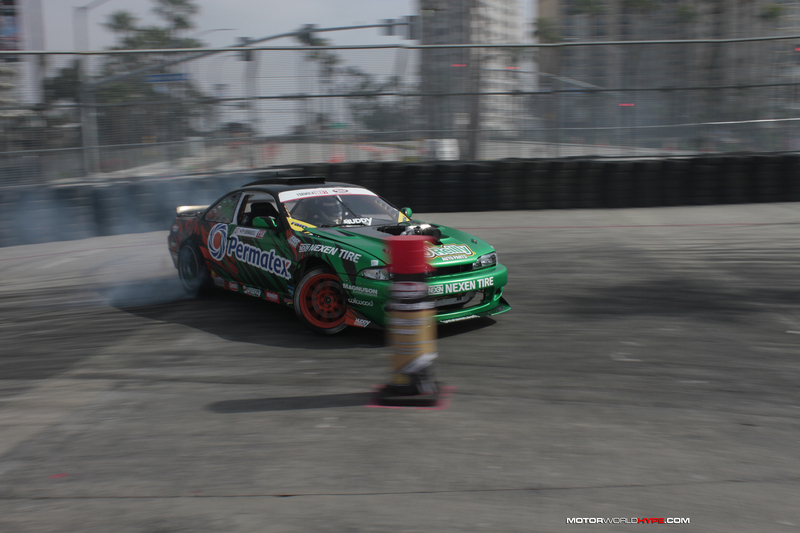 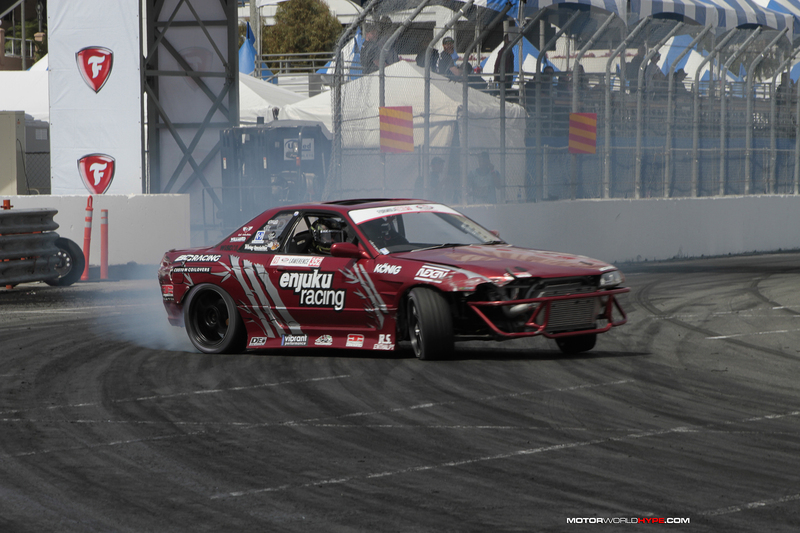 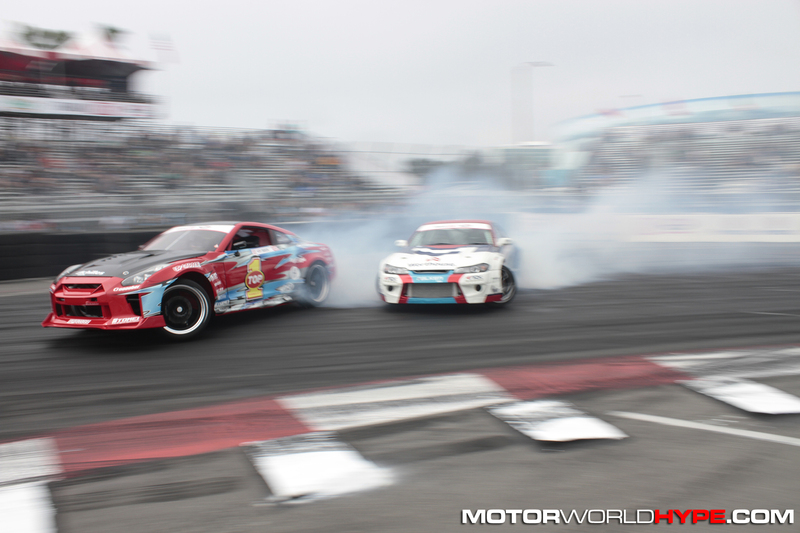 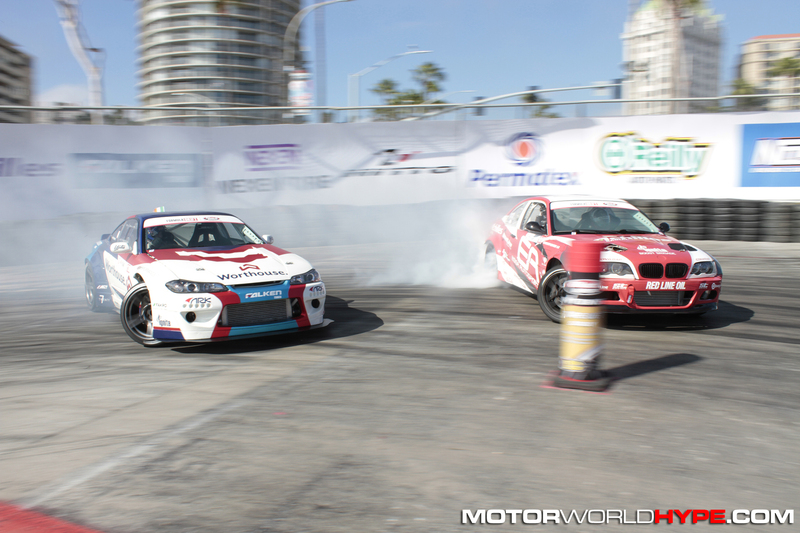 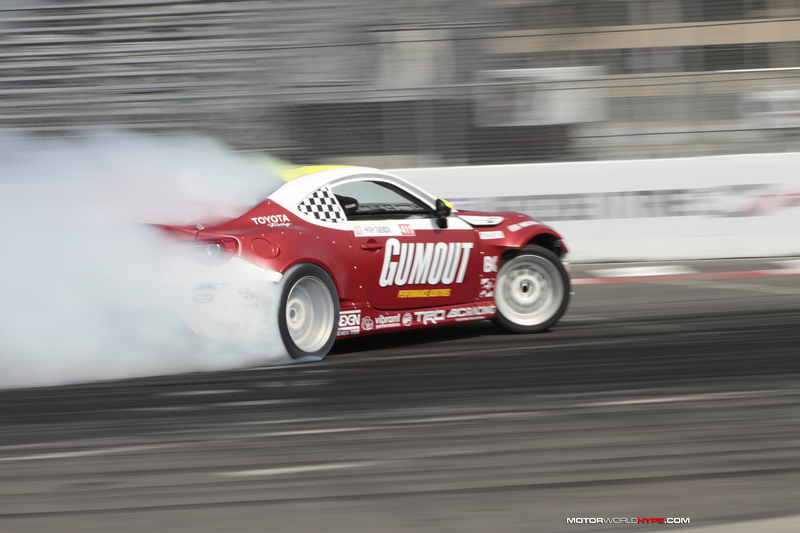 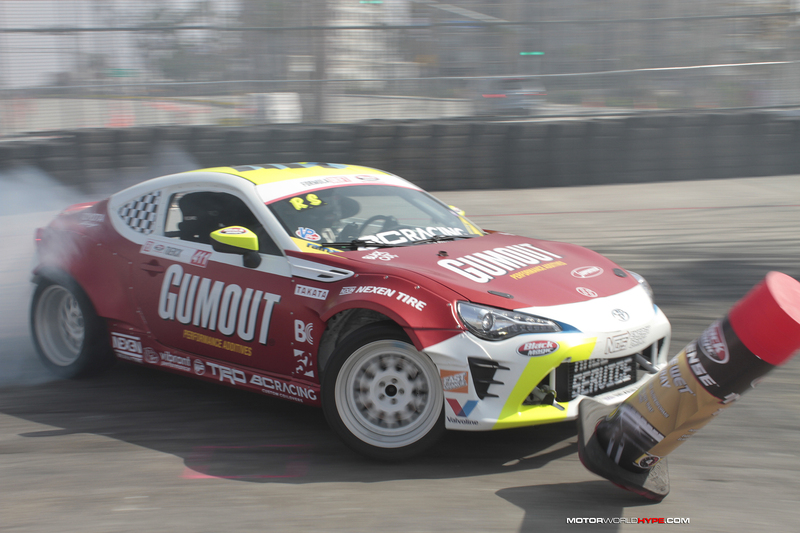 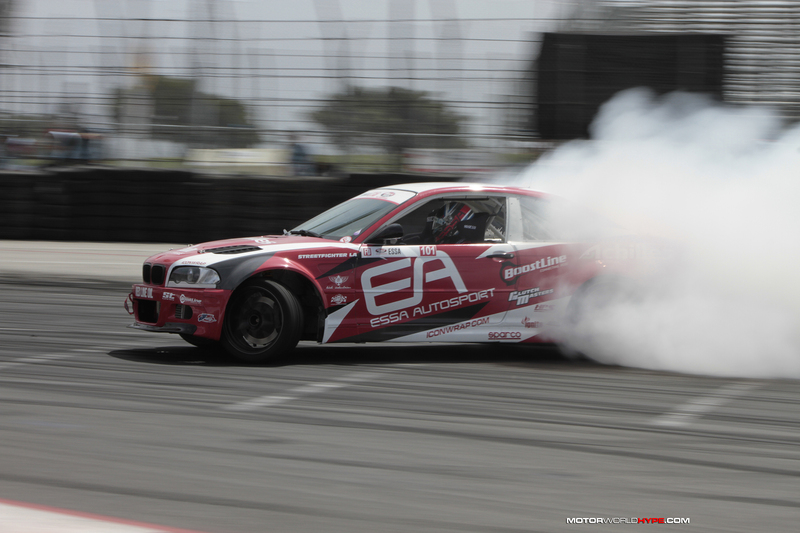 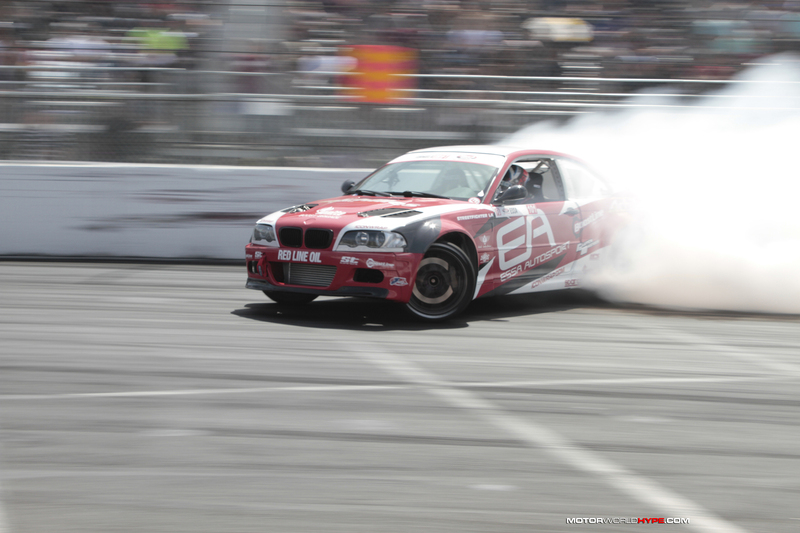 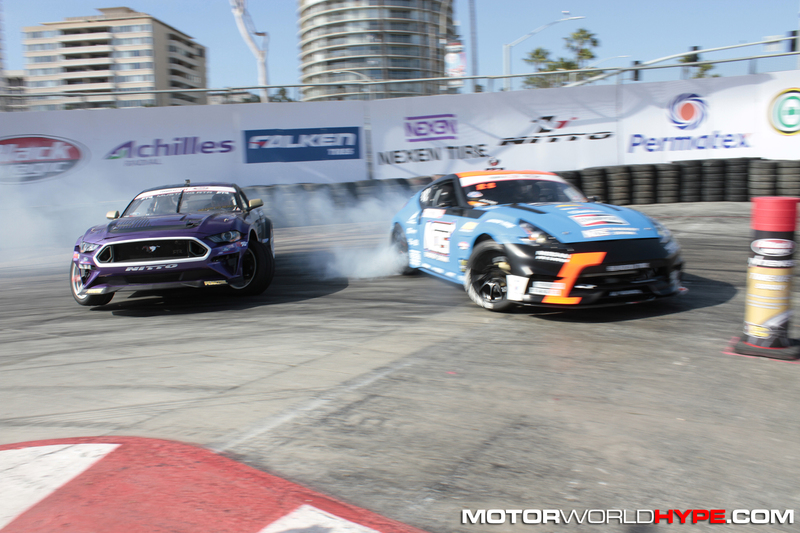 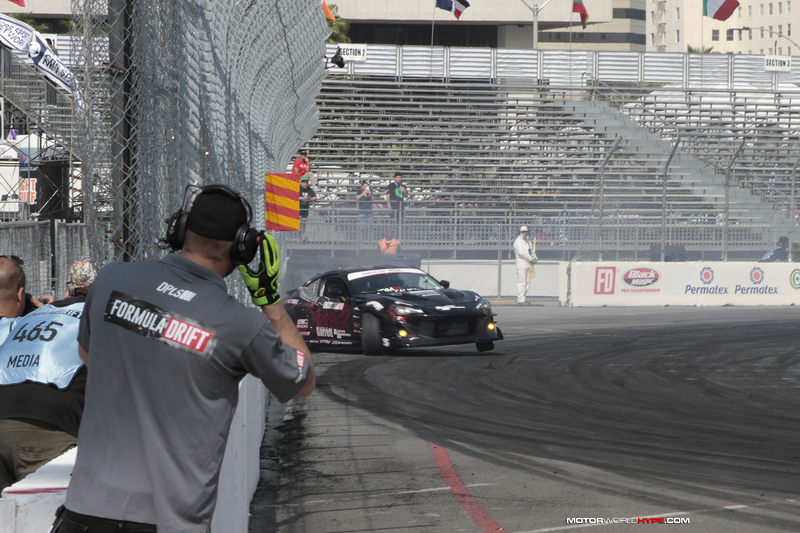 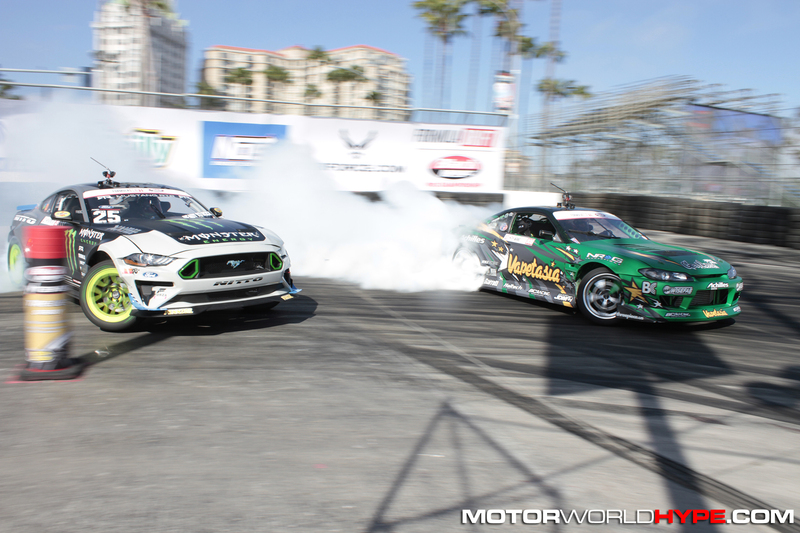 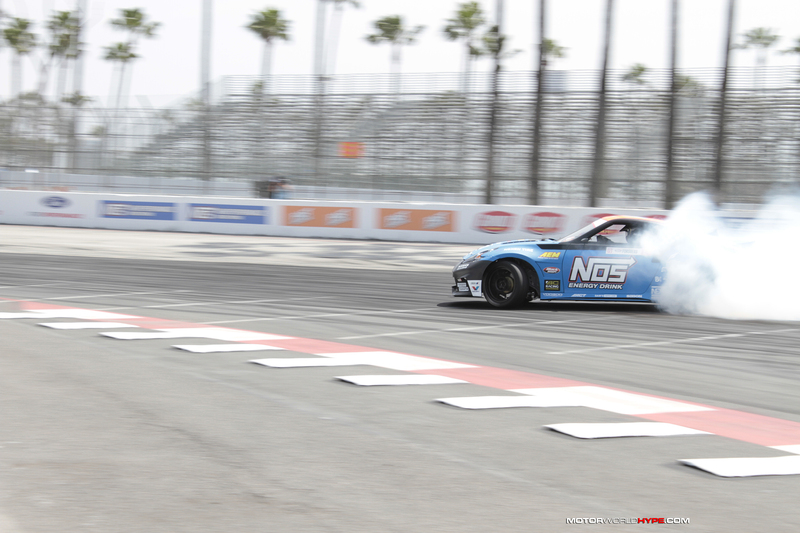 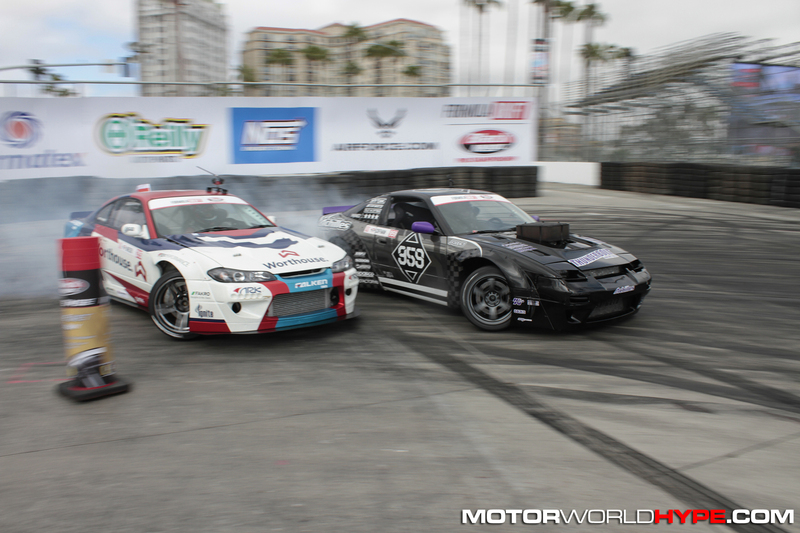 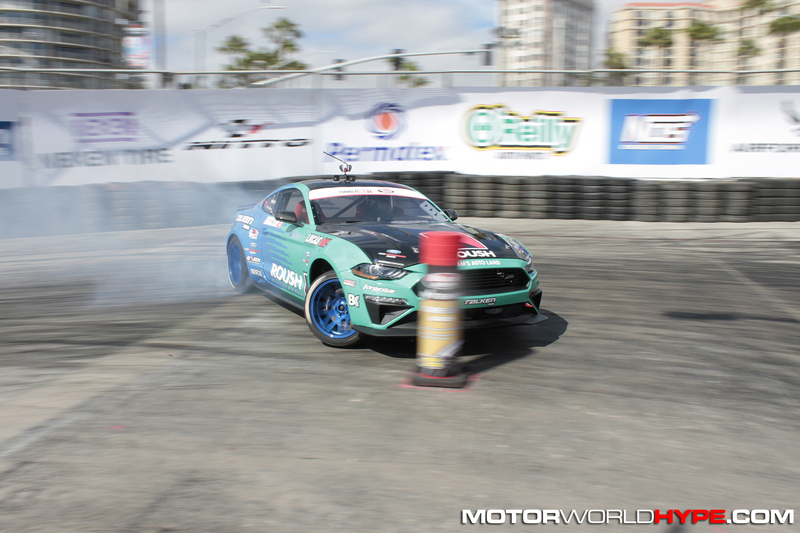 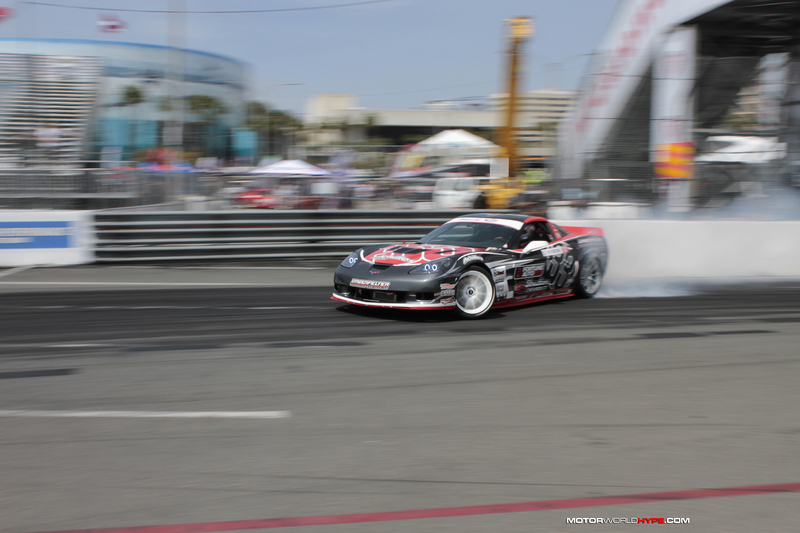 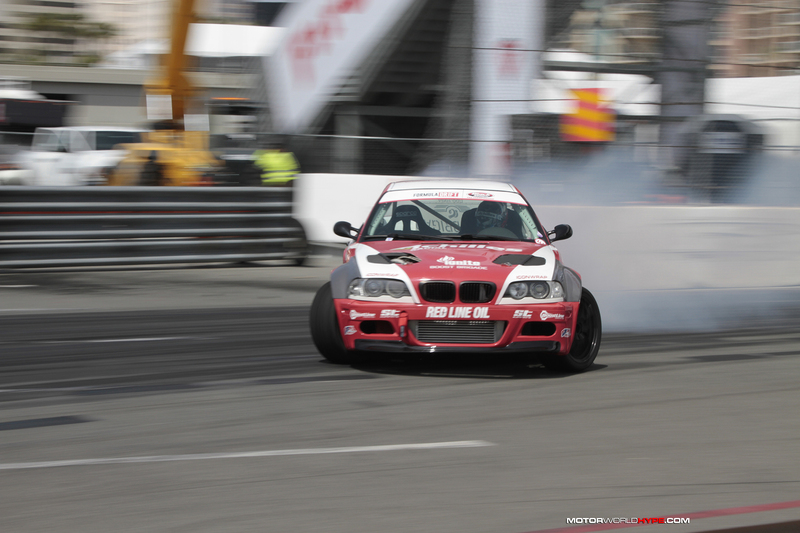 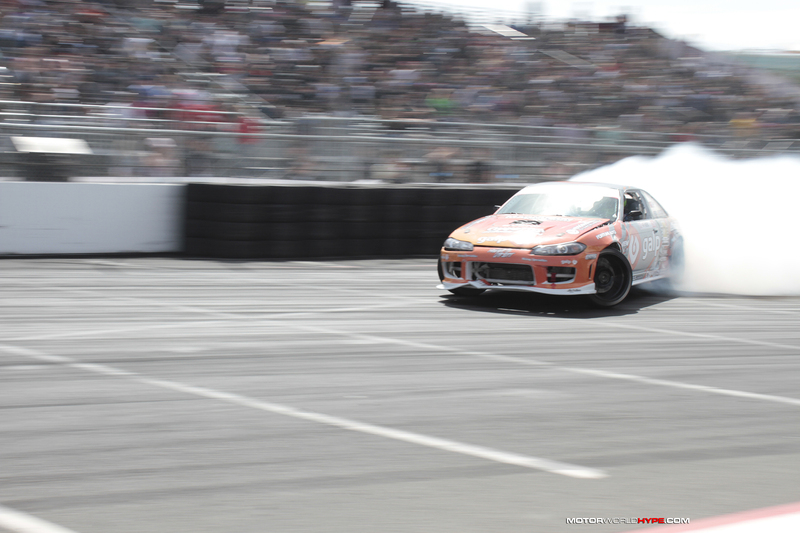 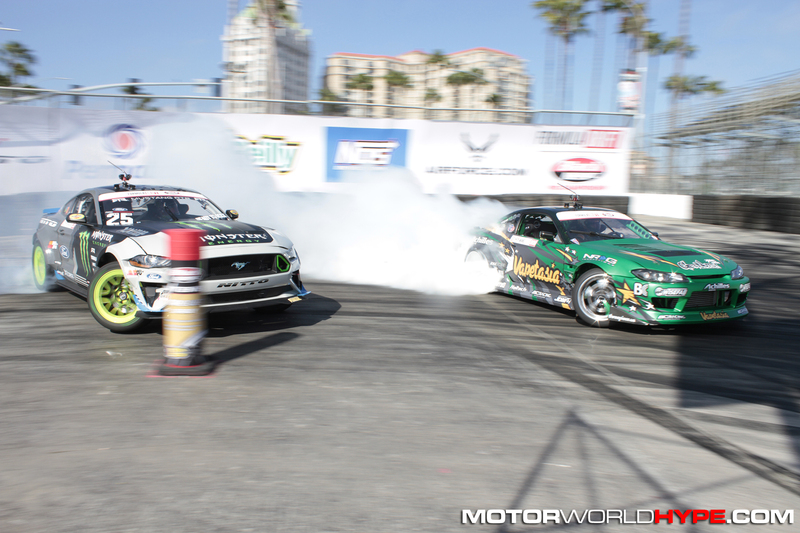 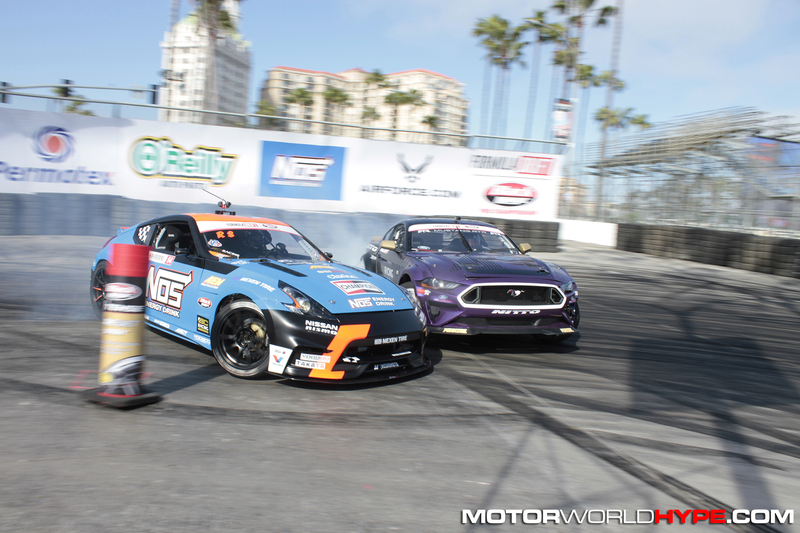 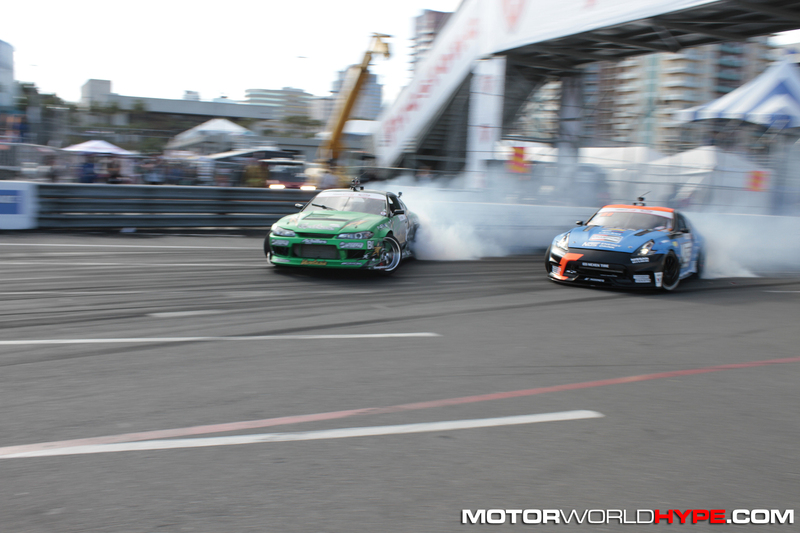 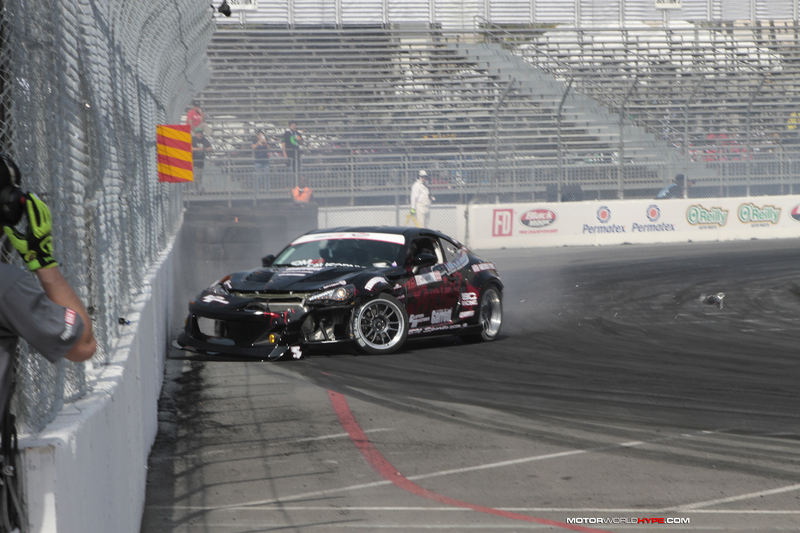 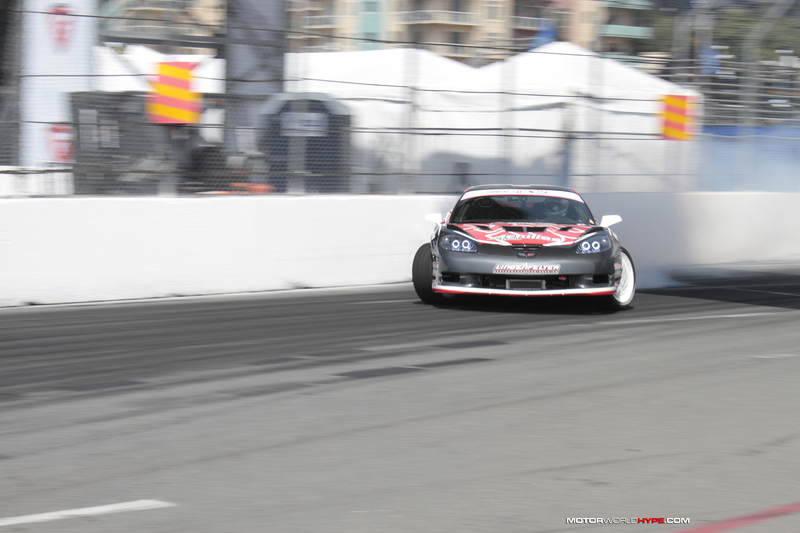 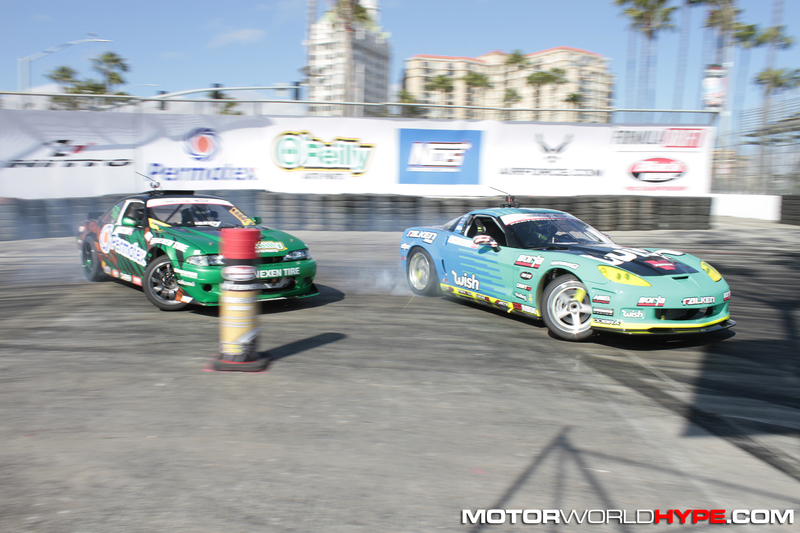 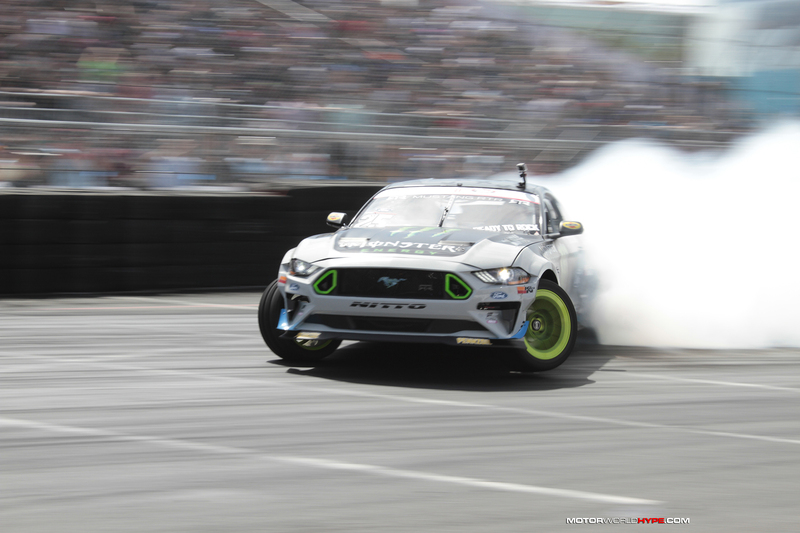 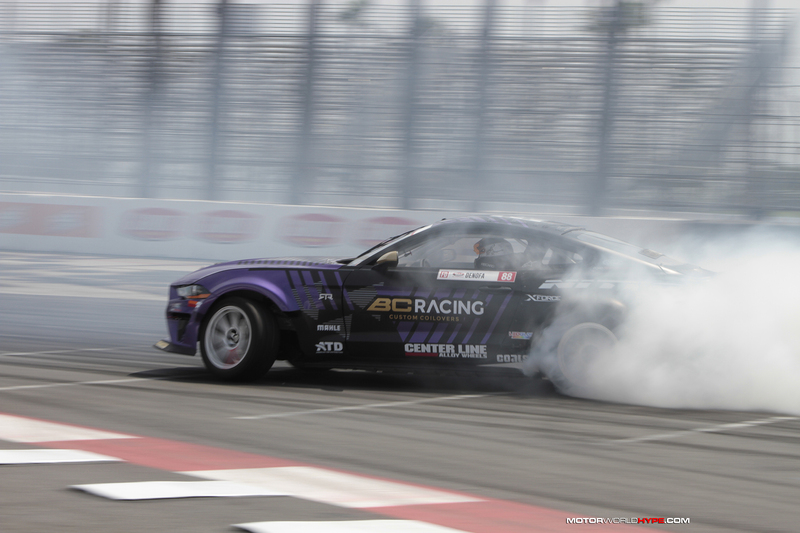 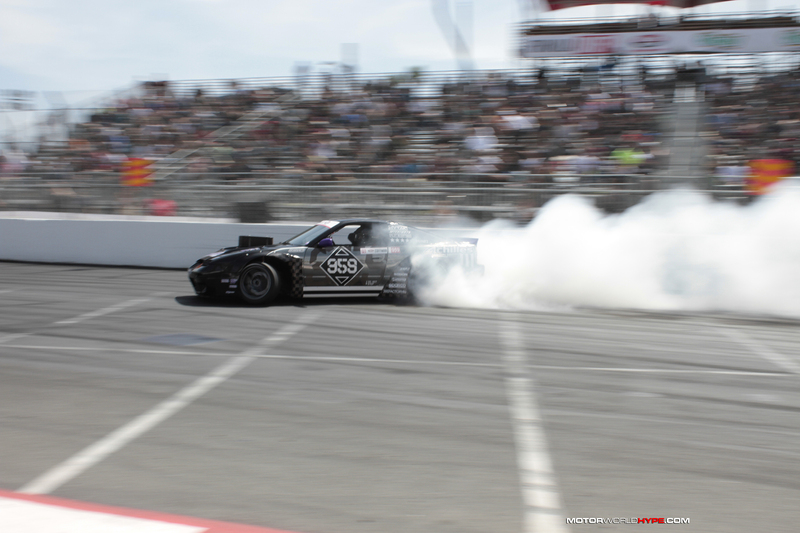 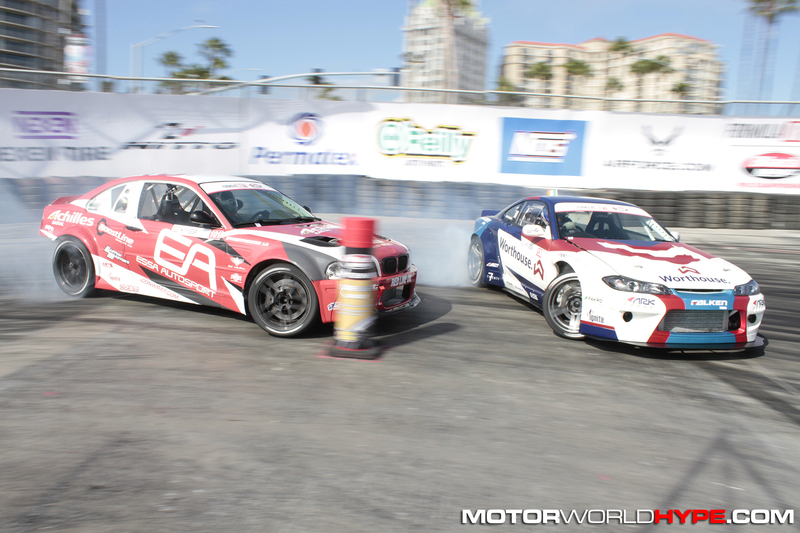 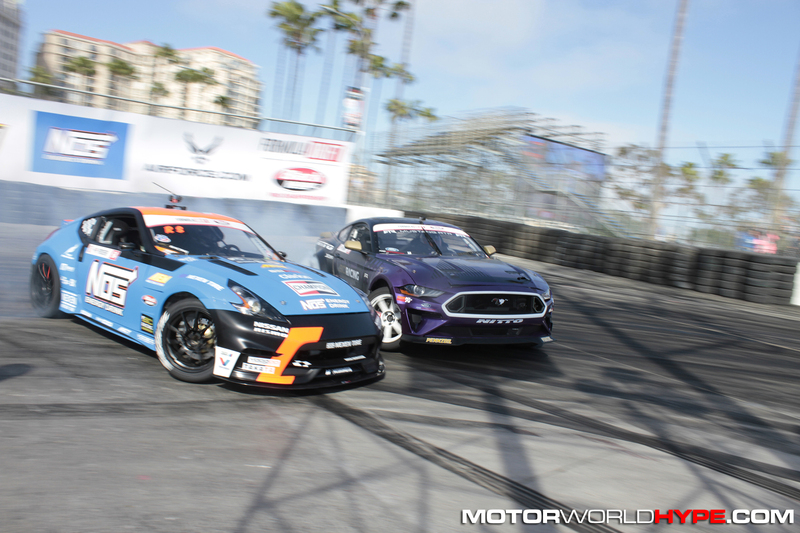 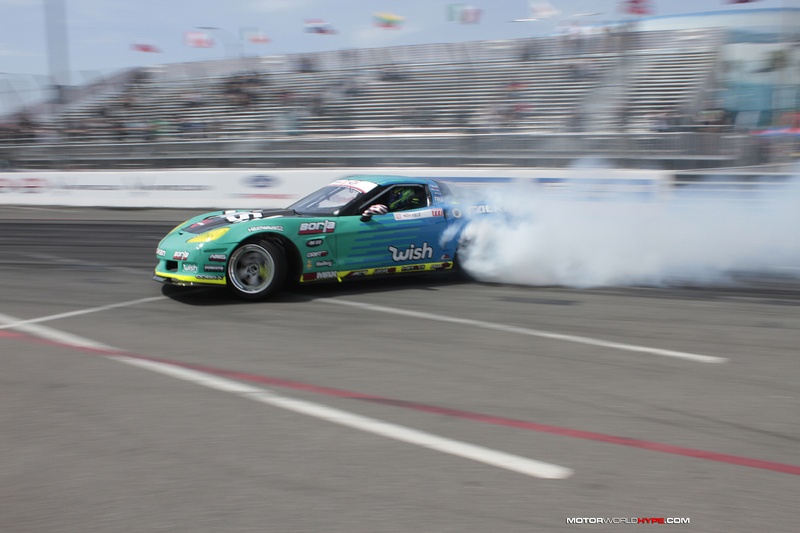 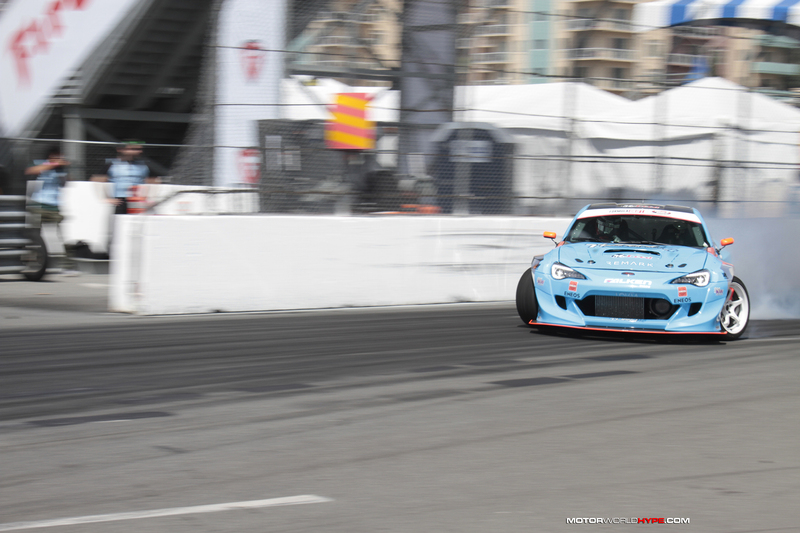 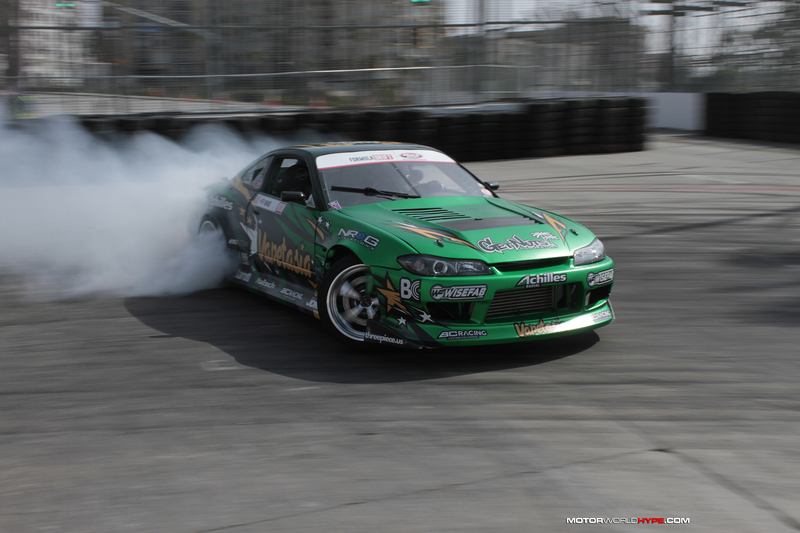 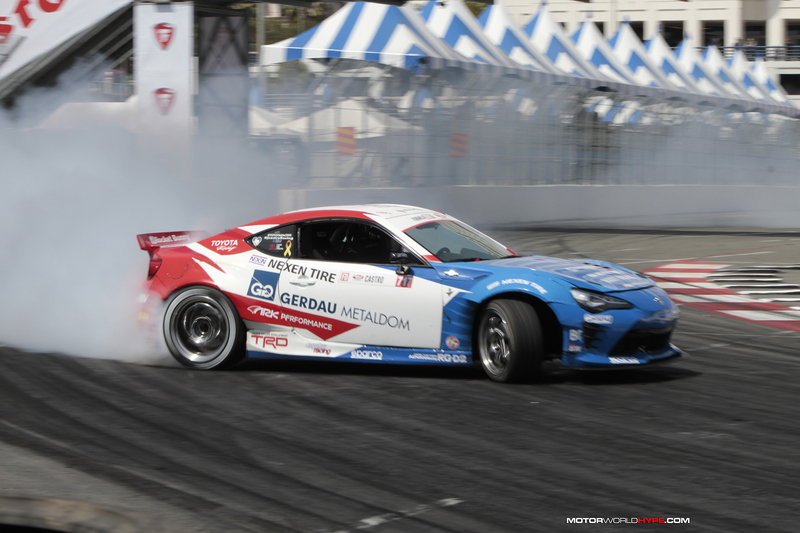 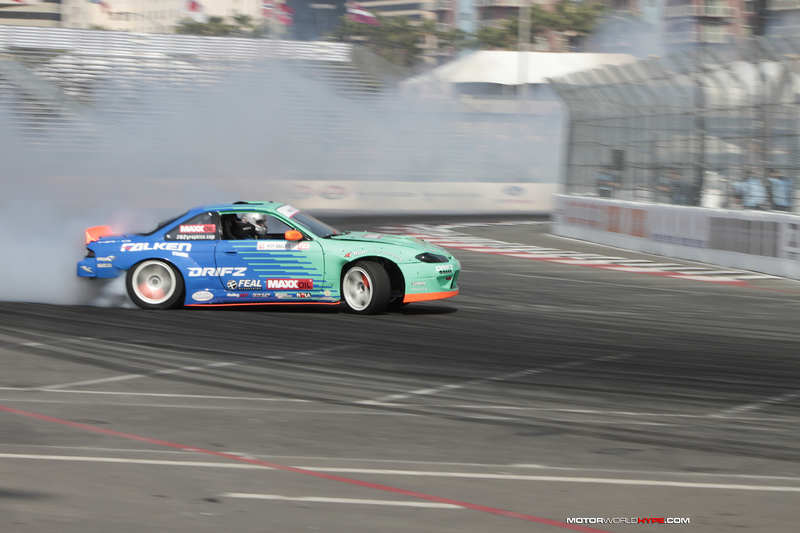 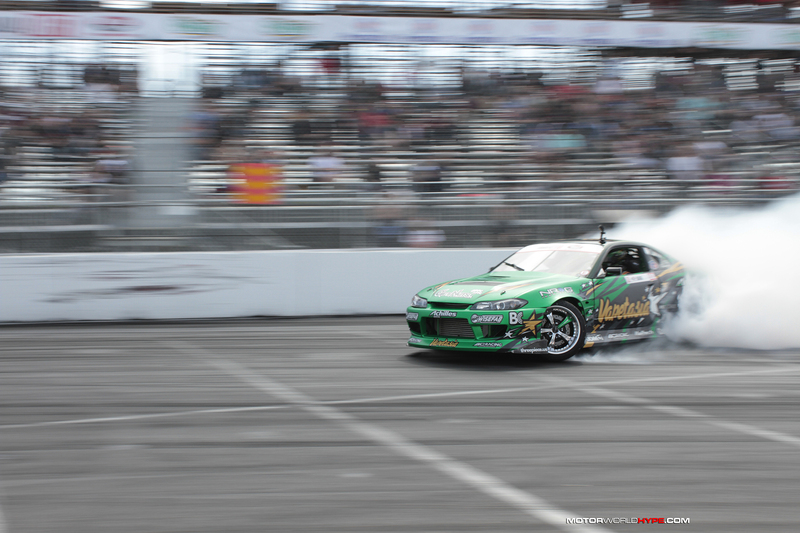 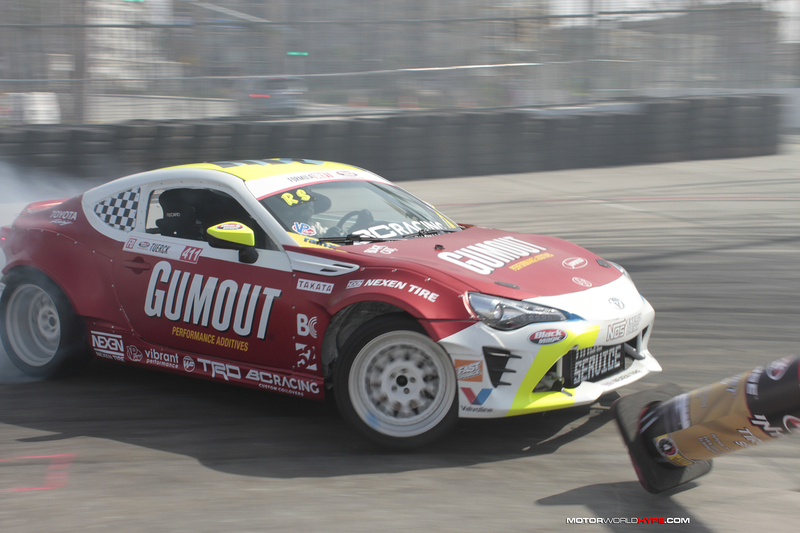 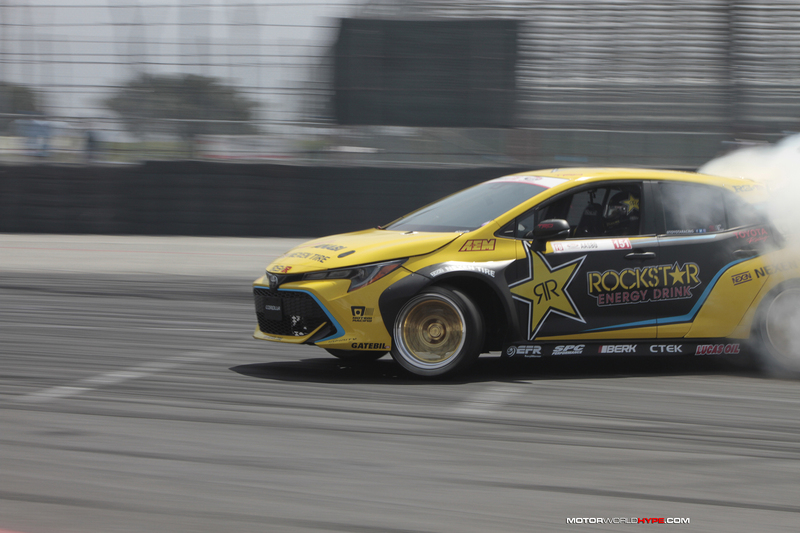 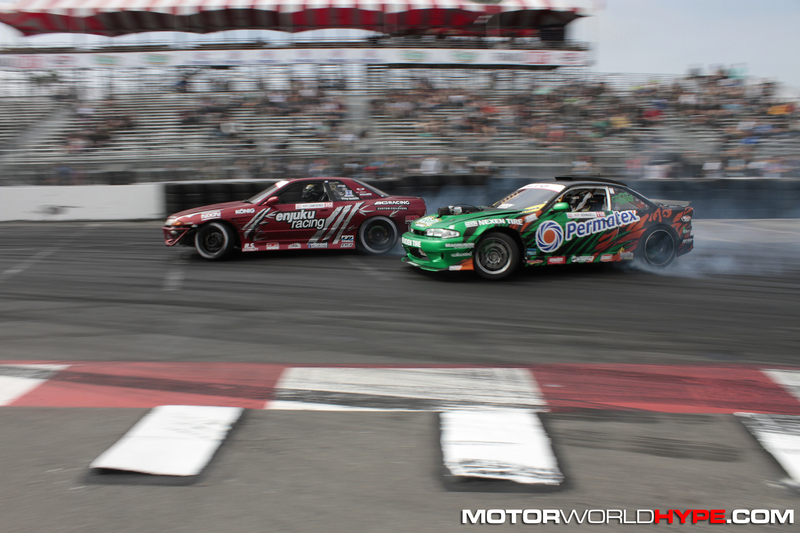 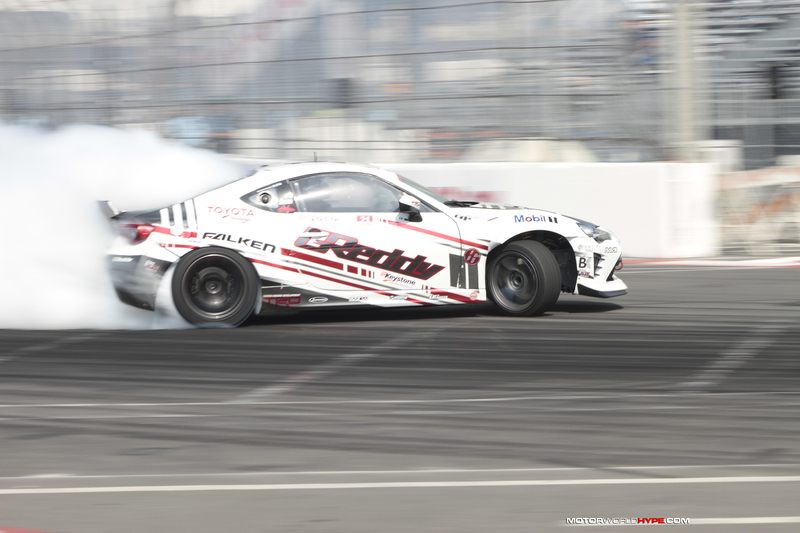 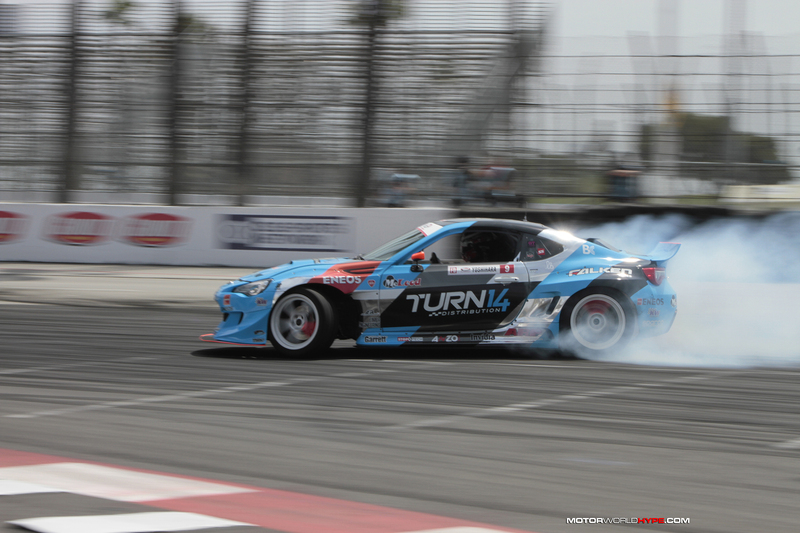 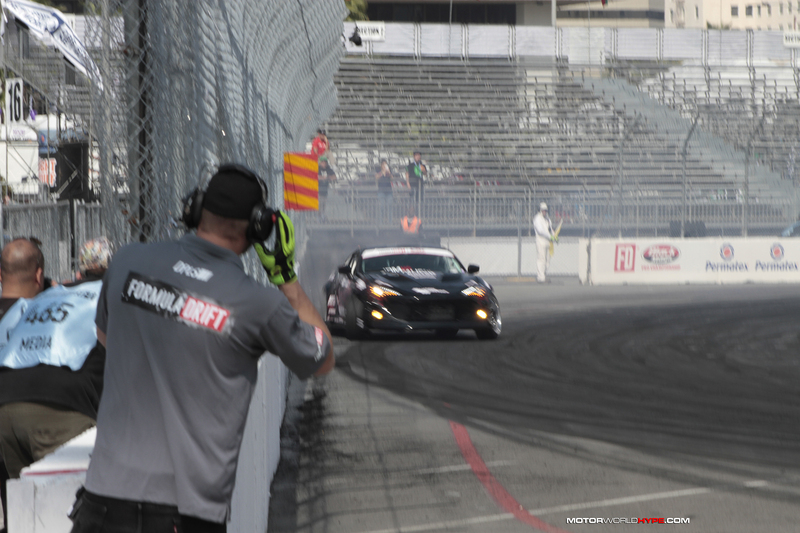 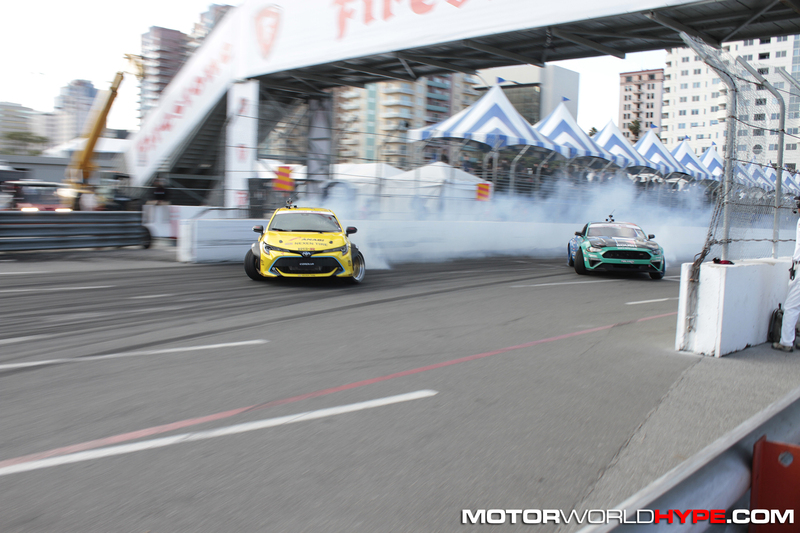 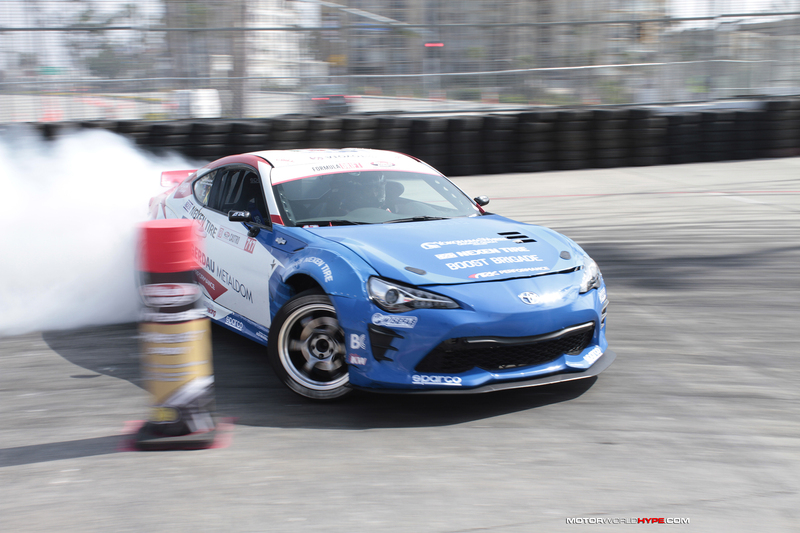 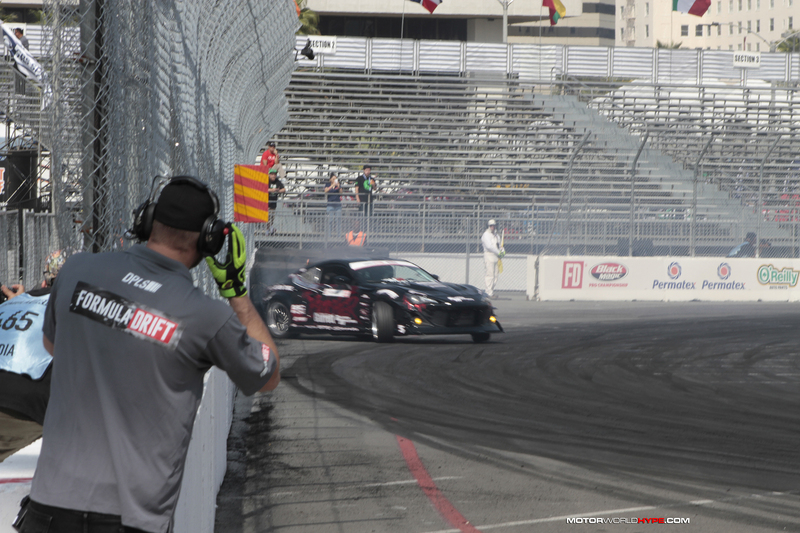 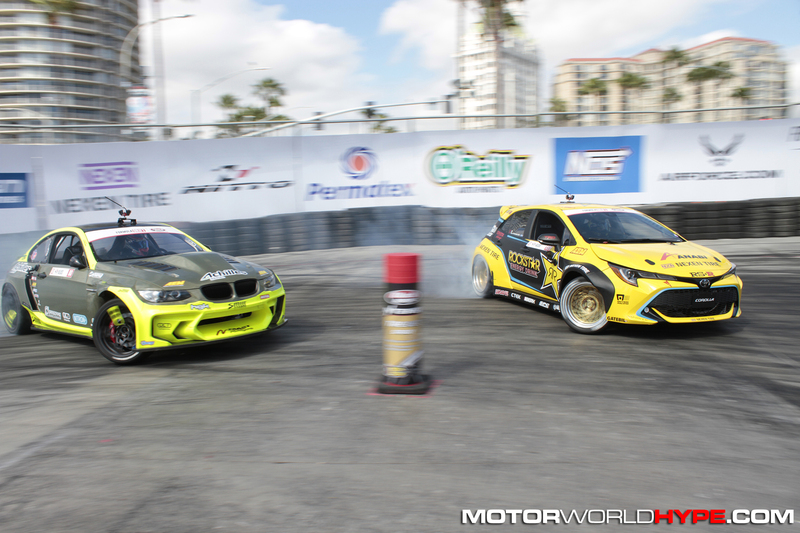 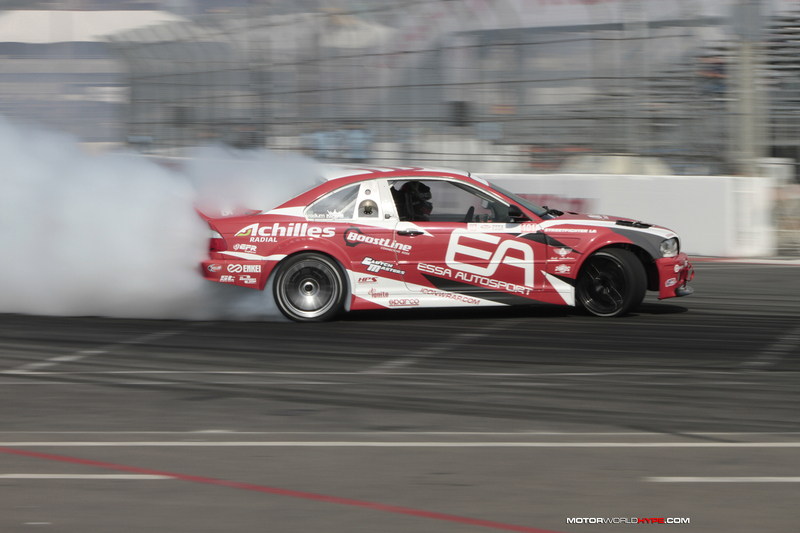 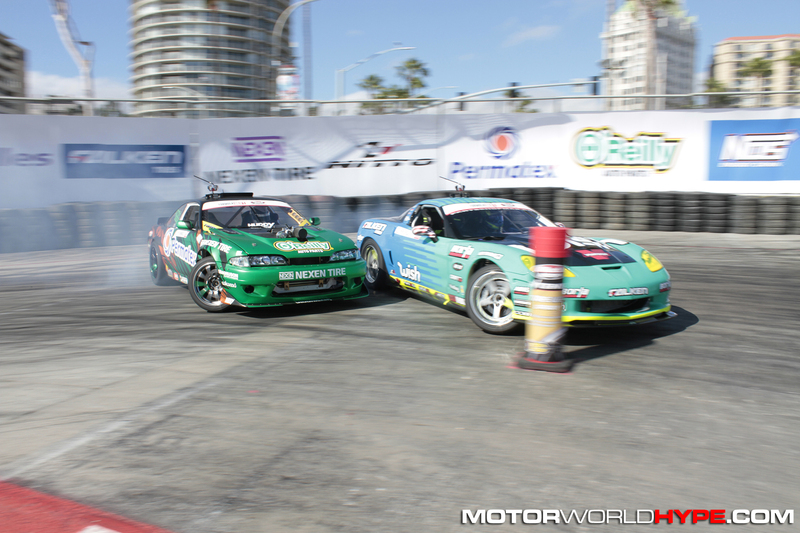 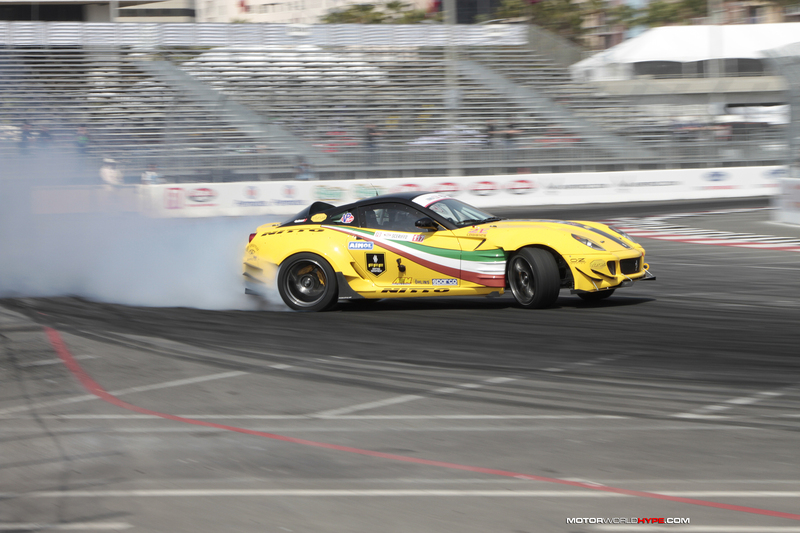 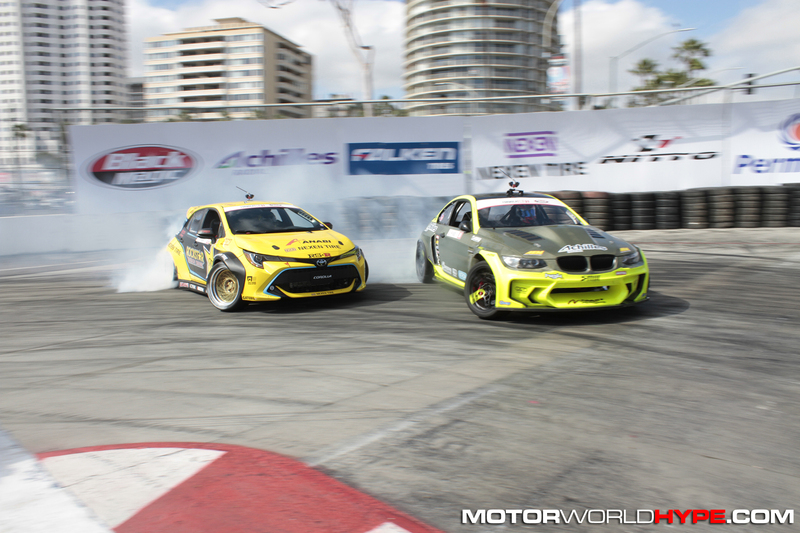 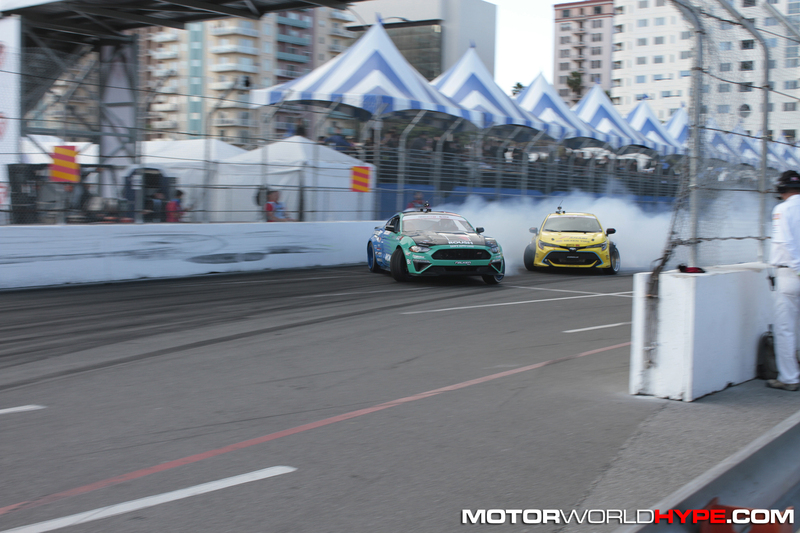 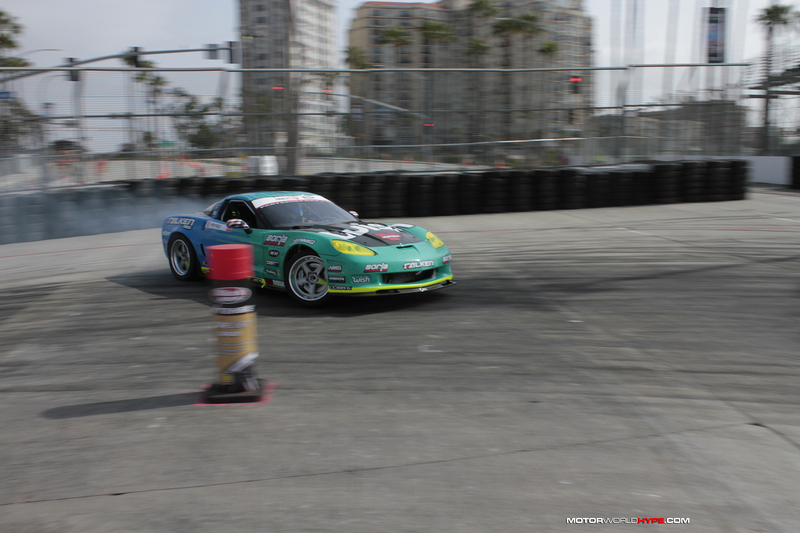 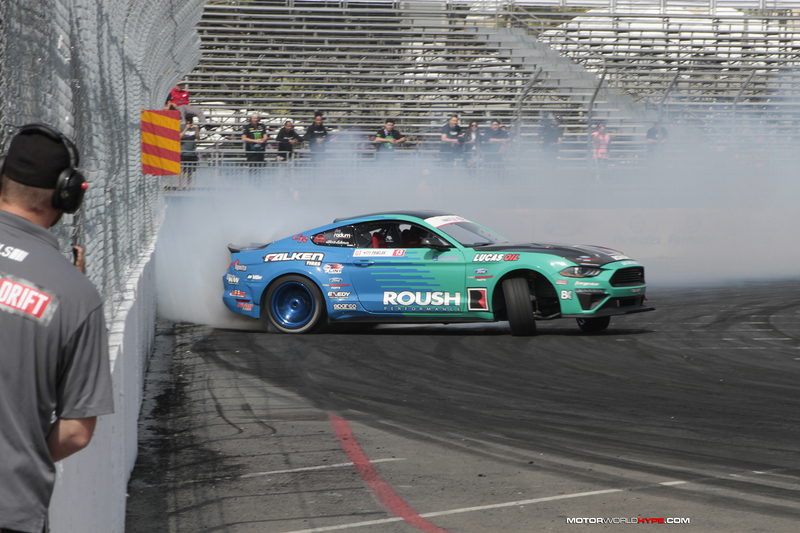 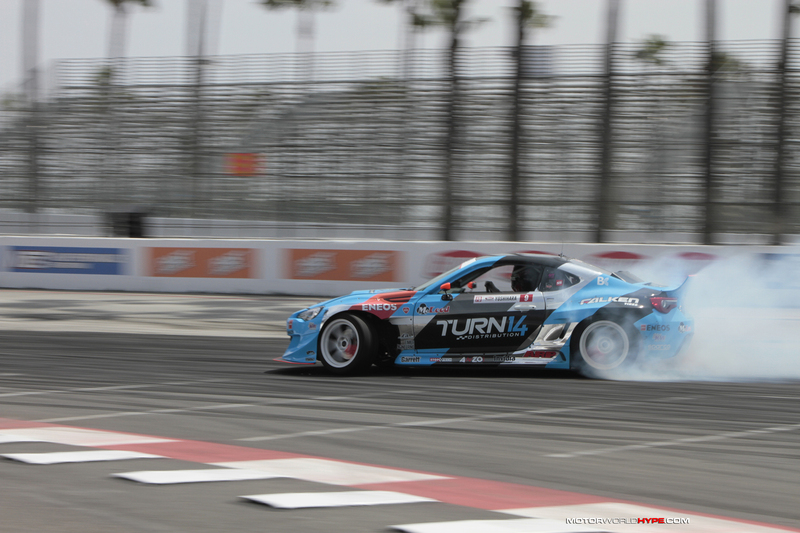 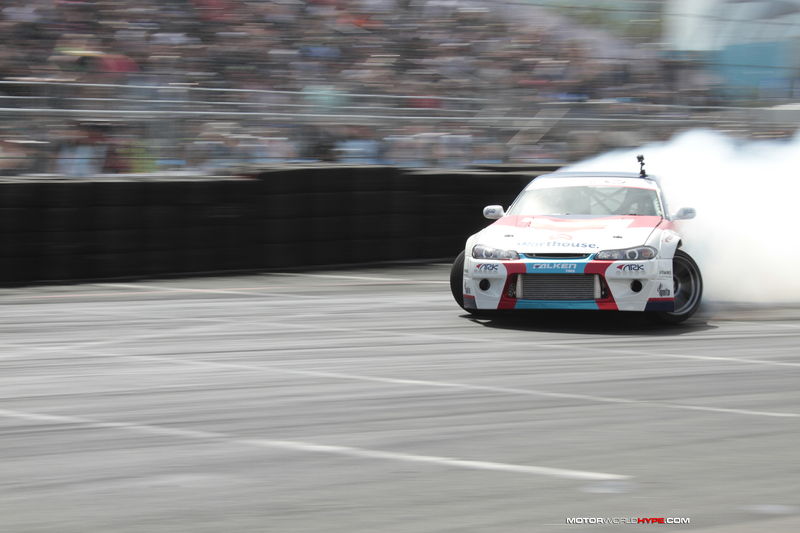 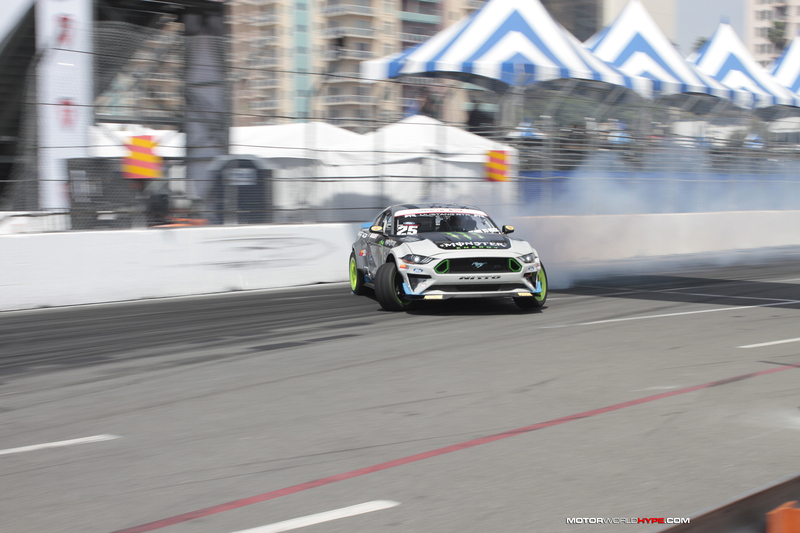 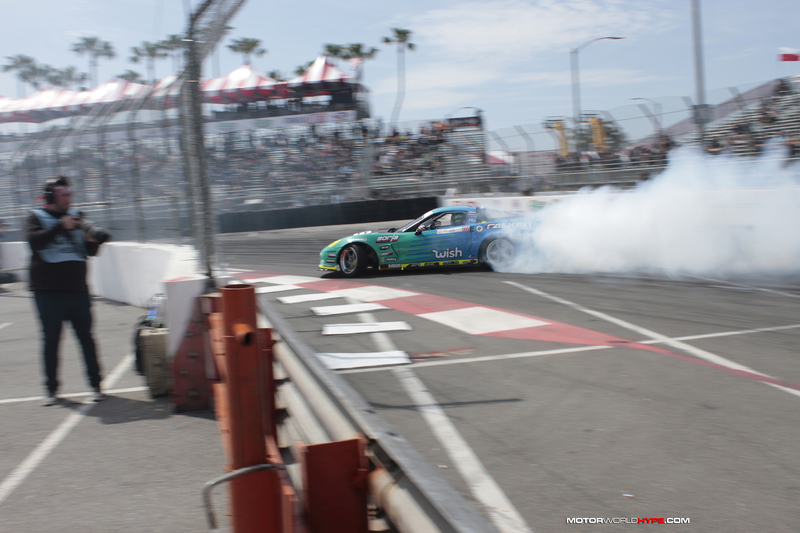 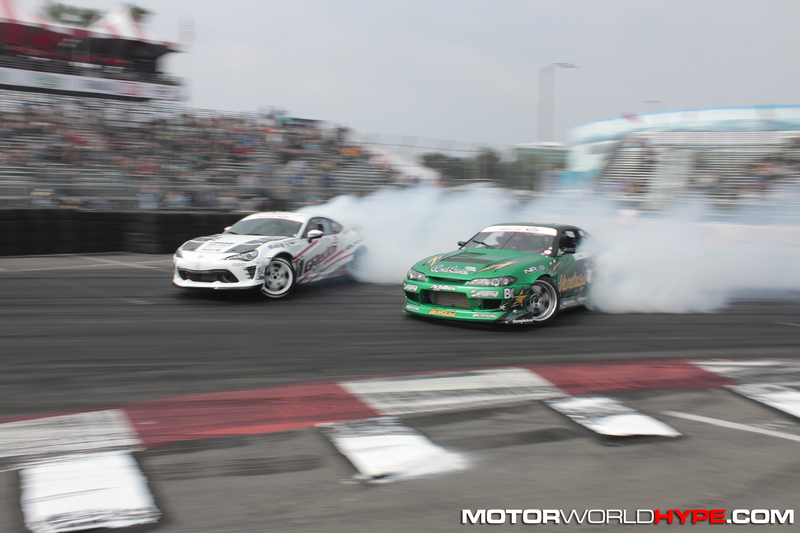 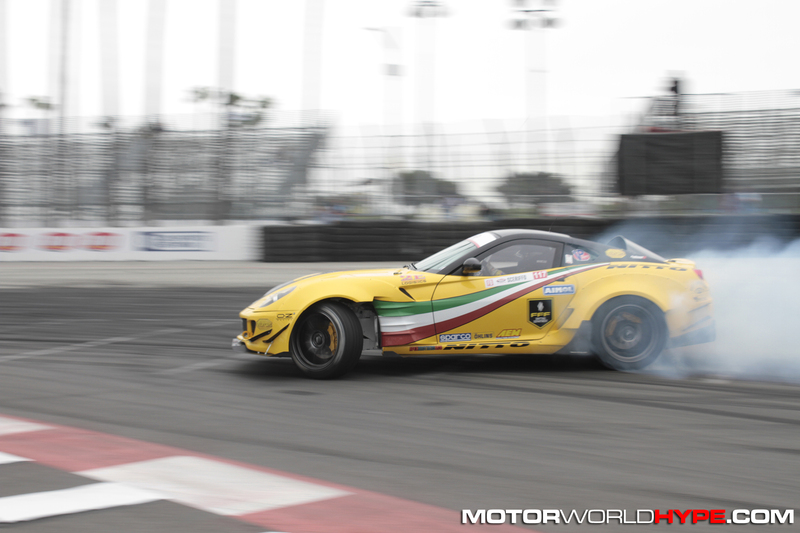 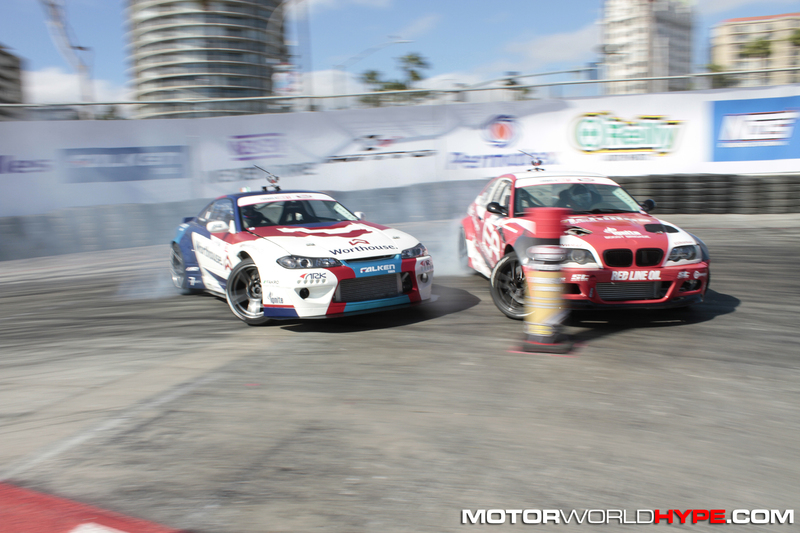 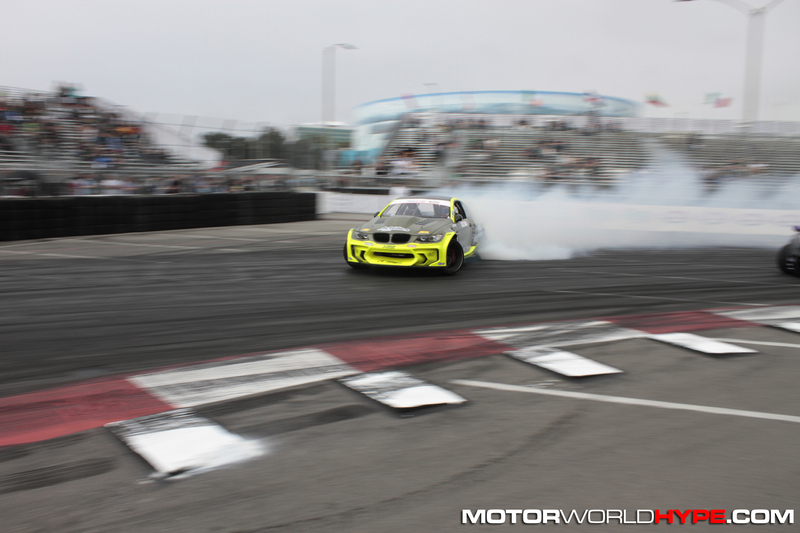 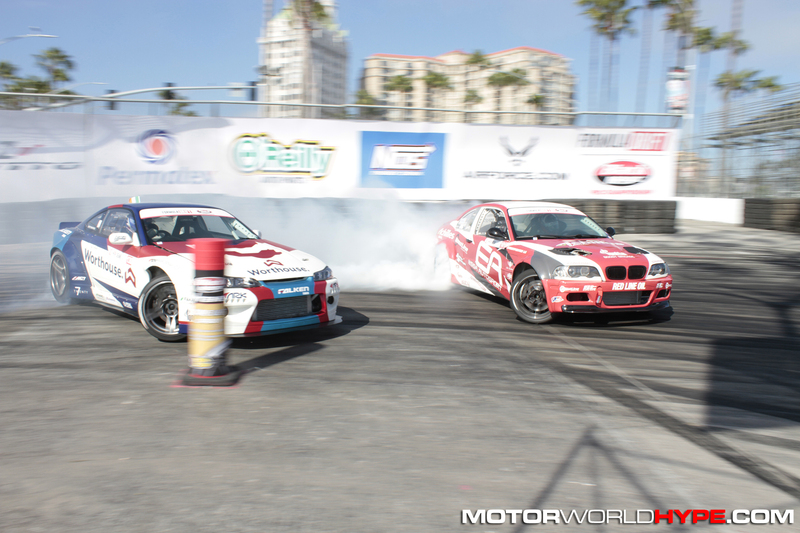 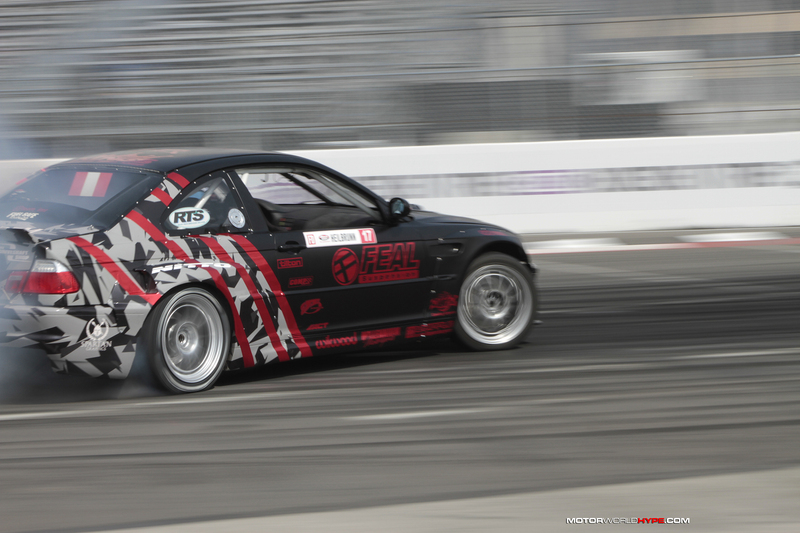 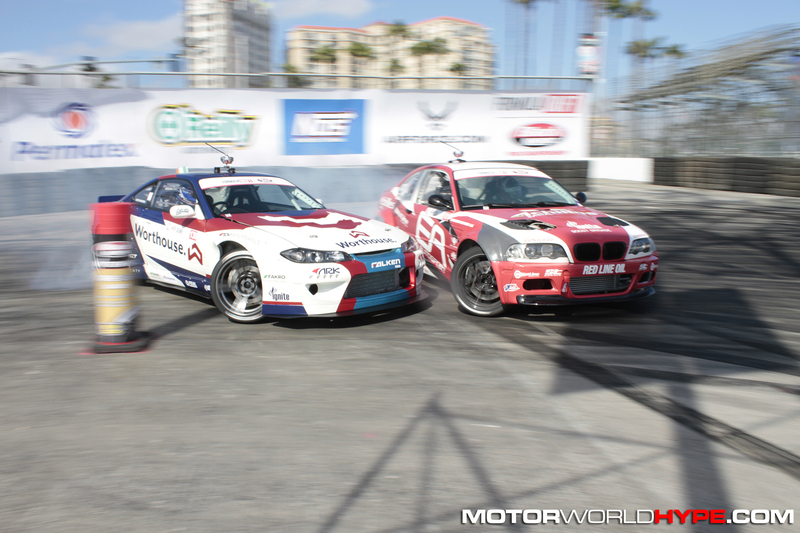 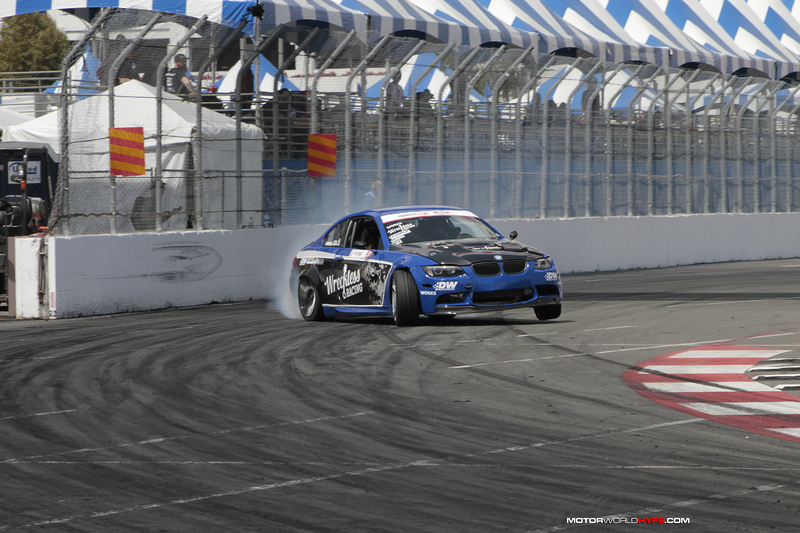 ← Watch Formula Drift Long Beach LIVE Here!